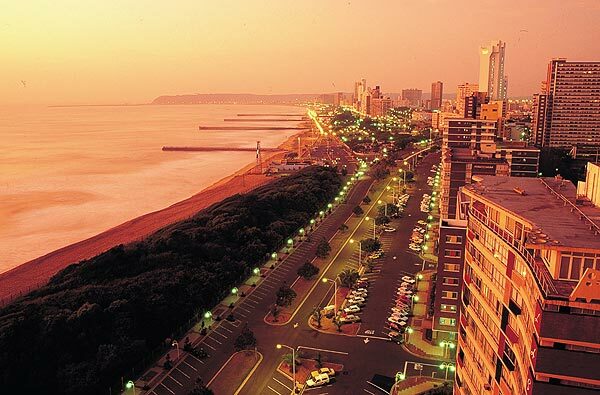 Durban is the South African city where I was born and raised. 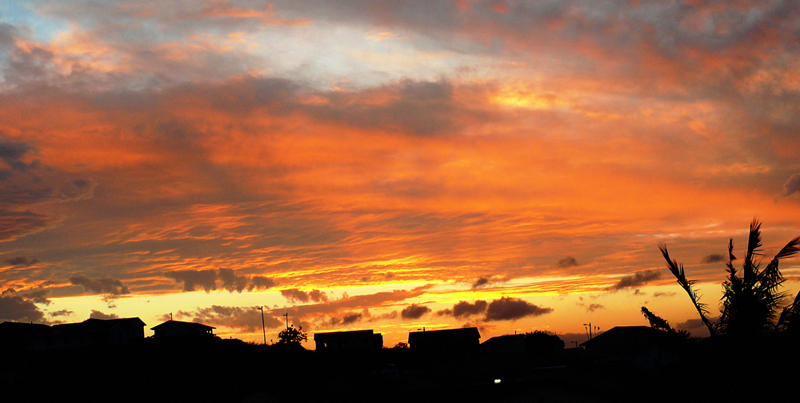 I’m so proud to call this friendly, permanently-sunny place my home. 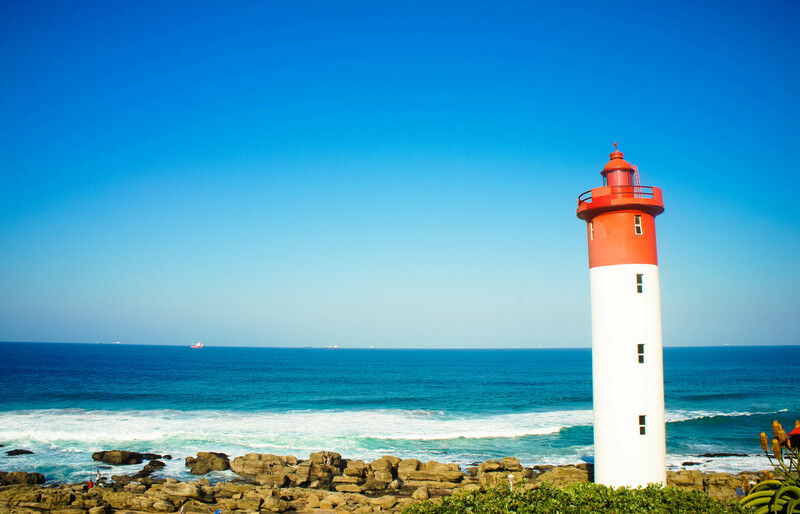 More laid-back that Johannesburg, and perhaps not as vibey as Cape Town, Durban has its own beach culture going on and is the perfect place to grab some rays on the golden mile. 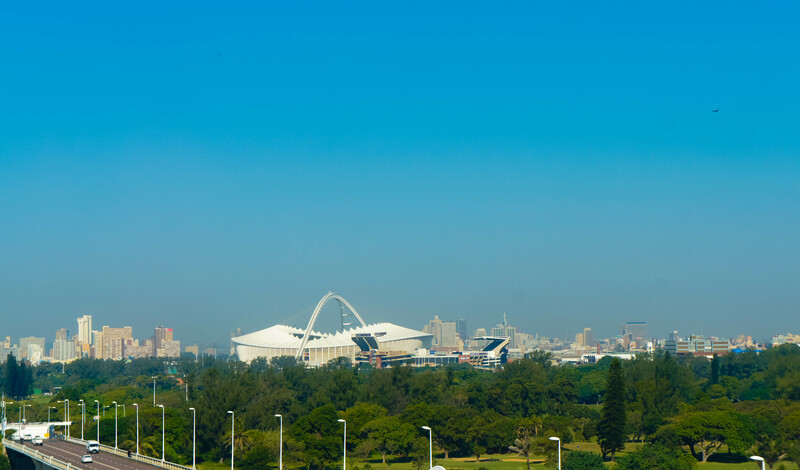 With various attractions and must see museums on the Durban must-see list, here are the top five experiences that shouldn’t be overlooked when in the city. 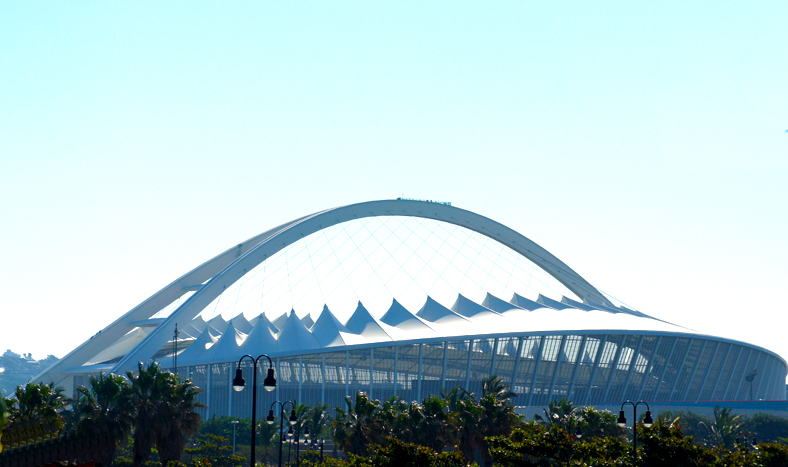 The gorgeous (yes, I said gorgeous when referring to a piece of architecture) Durban stadium, built for the memorable 2010 Football World Cup offers a series of activities regardless of your age, or interest in physical activity for that matter. If you’re an adrenaline junkie, you can try the Big Swing; which allows only the very, very brave to bungee jump from the centre of the stadium’s impressive arch. If you prefer something a little tamer, that will still get your heart racing, why not give the Adventure Walk a try? Tackling the zillion (it must be, right?) steps up the arch isn’t for the fainthearted. Then, if you’re like me and breaking a sweat isn’t really your thing, why not get the same incredible panoramic views by opting for the Skycar. A two-minute journey in the Skycar takes you to the very top of the arch where you’re presented with unparalleled 360° views over the city. 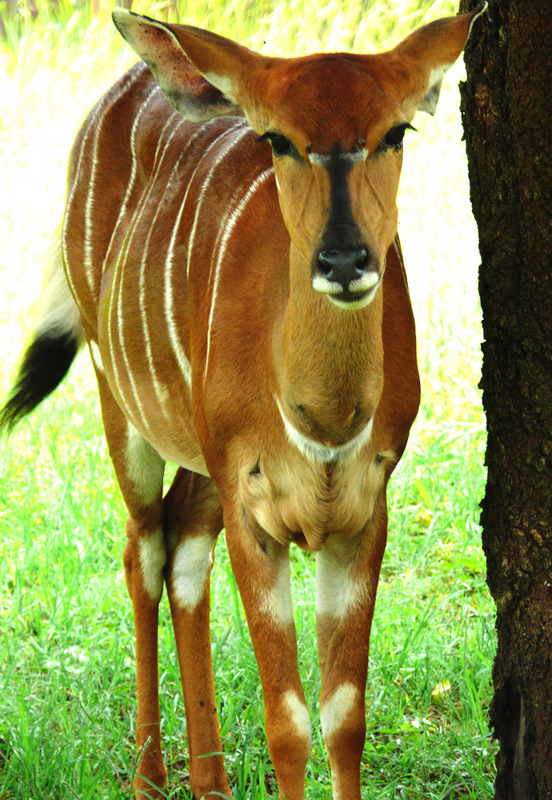 Situated, as the name suggests, along the banks of the Umgeni River, the Bird Park is an ideal family activity that is fun as well as educational. From bird feedings, to interactions with friendly Lorikeets, there are a variety of activities arranged on a daily basis. 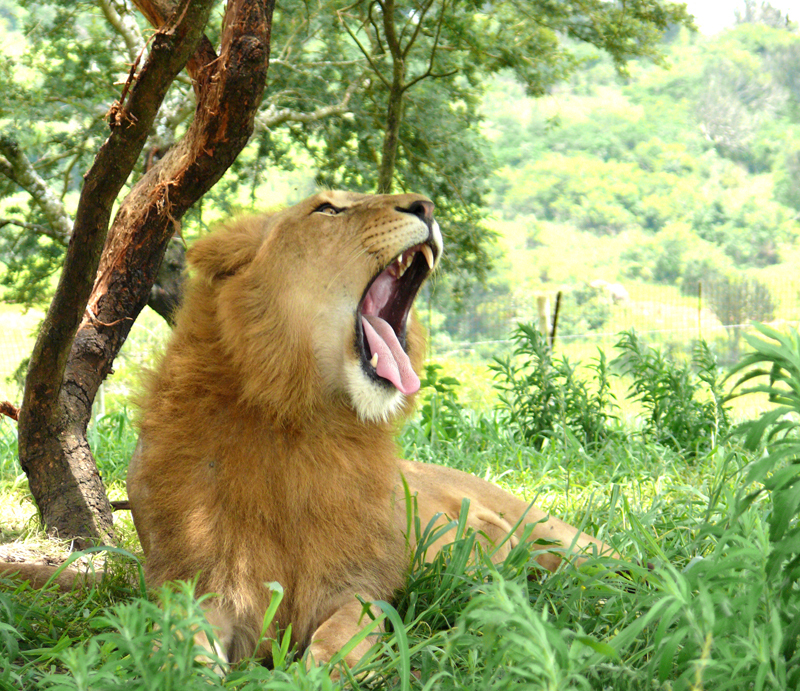 With a collection of over 800 birds from more than 200 species, the bird park is a must do when in Durban. 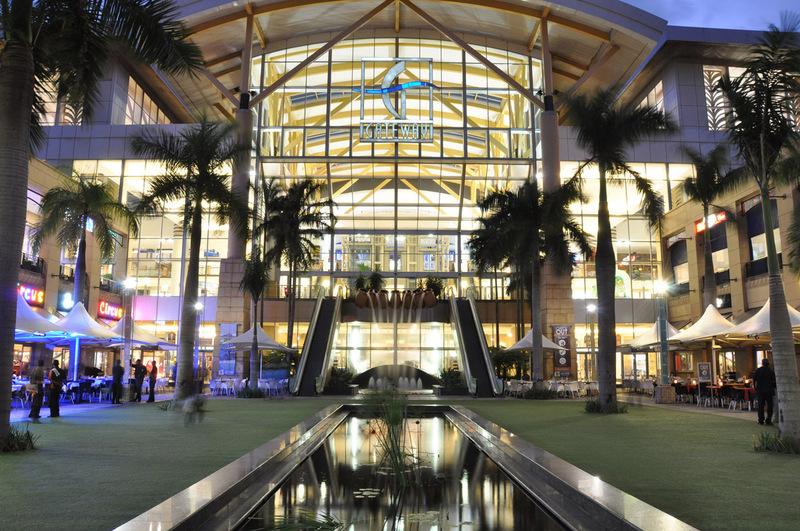 With an abundance of stores ranging from quirky boutiques to designer labels, from monstrous supermarkets to jewellery outlets, Gateway is the perfect place to shop when in Durban. But it is so much more than just a mall. Having coined the term “shoppertainment” for good reason, the centre provides fun-fill activity choices including one of the largest indoor climbing mountains, a videogame arcade, a Wavehouse and a skate park. The centre offers 18 movie theatres and a variety of restaurants and coffee shops. Prefect way to spend a Sunday (or any day, in my humble opinion). 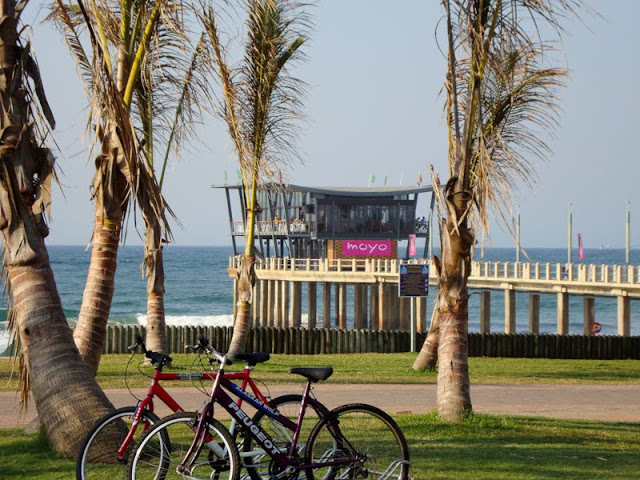 The golden mile (actually longer than your typical mile) is a paved stretch of promenade along the golden sandy beaches of Durban. 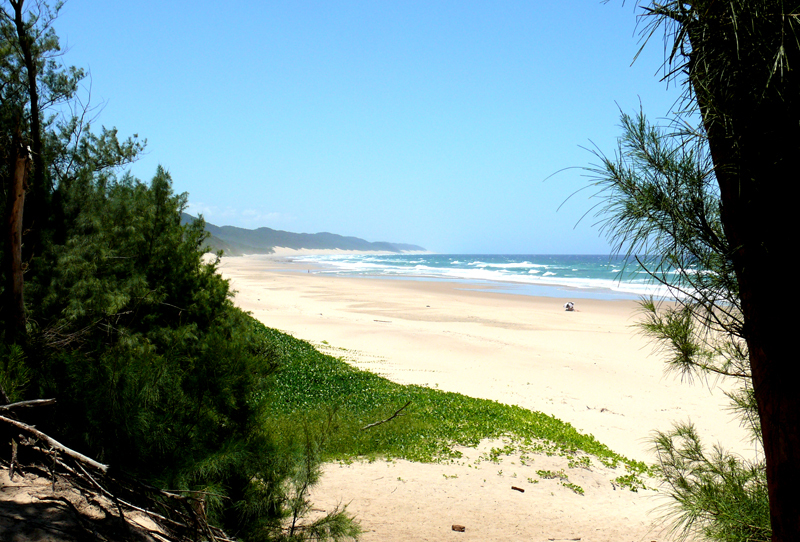 Craft markets, fisherman, surfers and beachgoers line the coast and make for an interesting ride along this route. Numerous bike rental companies offer fantastic rates, so there is no excuse not to enjoy a leisurely ride along this track with the sun on your back and the warm Indian Ocean breeze in your face. There aren’t too many places in this world where you can buy a sari, get a henna tattoo and scoff down a deliciously hot curry in a day. Not outside of Asia anyway. So with one of the largest Indian populations outside of India; Durban is by far one of the Rainbow Nation’s most multicultural cities. 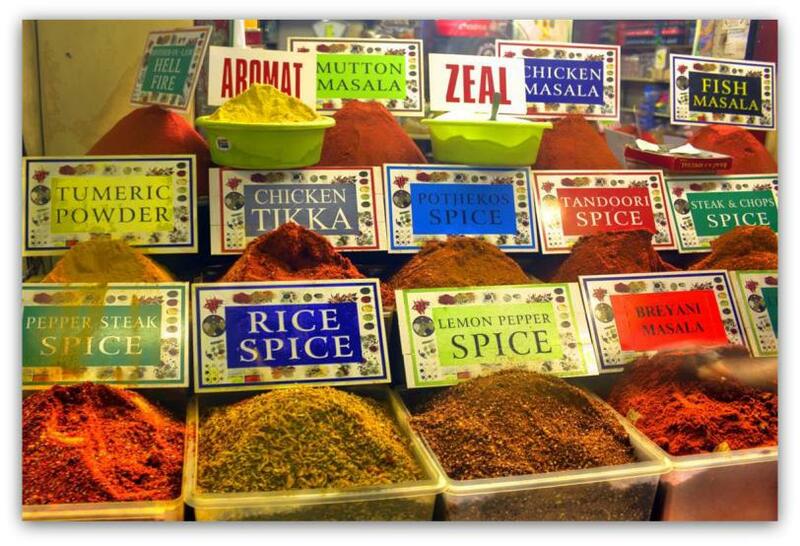 The Victoria Street Market is a homage to Indian culture, with almost 200 stalls bustling with oriental products. From spices to clothing, from souvenirs to fresh fish, the lively market is one stop that shouldn’t be overlooked when in Durban. We arrived in South Africa early in the morning the day before Madiba’s state funeral was to take place. As an expat South African living in France I really miss my home country and each trip back home is profoundly anticipated. We normally choose to fly with Air France on their overnight flight from Charles de Gaulle to Johannesburg. 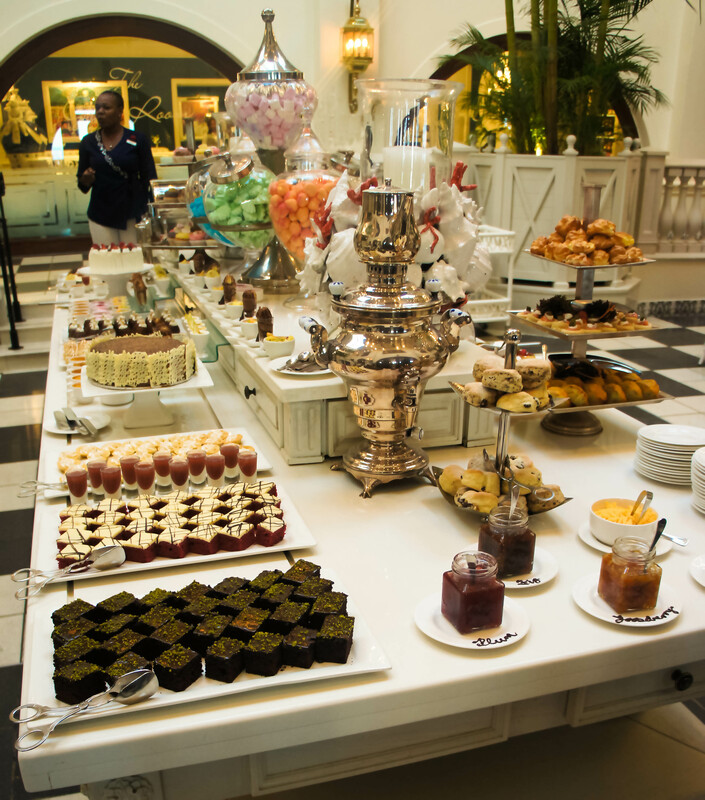 I quite enjoy the extreme culture shock of leaving Paris, with its distinct flair, the French language being spoken everywhere, and the unmistakable aroma of macaroons as I walk pass the airport’s Ladurée cart – and waking up in Johannesburg. Although I grew up in Durban, the minute I get off the plane in OR Tambo, I instinctively feel as if I’m ‘home’. I don’t know what it is; perhaps it’s not anything quite tangible or maybe it’s a combination of factors. Maybe it’s the sunshine that is so typical of our country, or hearing Zulu and Xhosa being spoken along with the distinctive Gauteng accent. It’s seeing familiar brands; the dark green and white of the airport’s Mugg and Bean or the ‘W’ of my much-missed Woolworths. But on this day, something was noticeably amiss. And I knew right away what is was. For the first time in my life, I set foot on my country’s soil, but it was a Madiba-less South Africa I had come home to. The next day the Rainbow Nation mourned. Each in their own way, they paid their last respects to the man we had come to call ‘Father’. Our Tata. Some wept openly in their grief. Others danced and shouted. 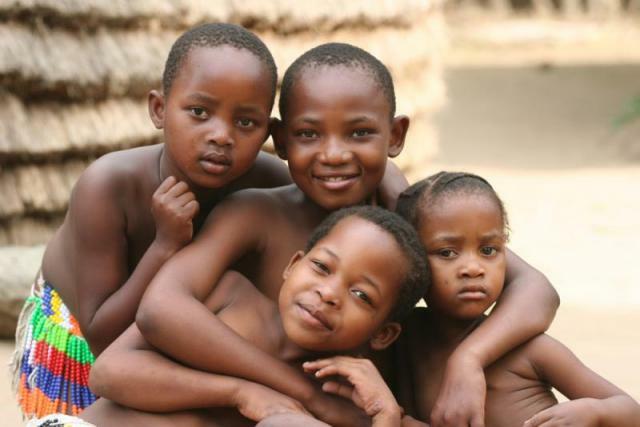 Some somberly sang Nkosi Sikelel‘ iAfrika –God bless Africa. Others toyi-toyed to chants of Shoshaloza. I knew I too had to find a way to come to terms with his loss. 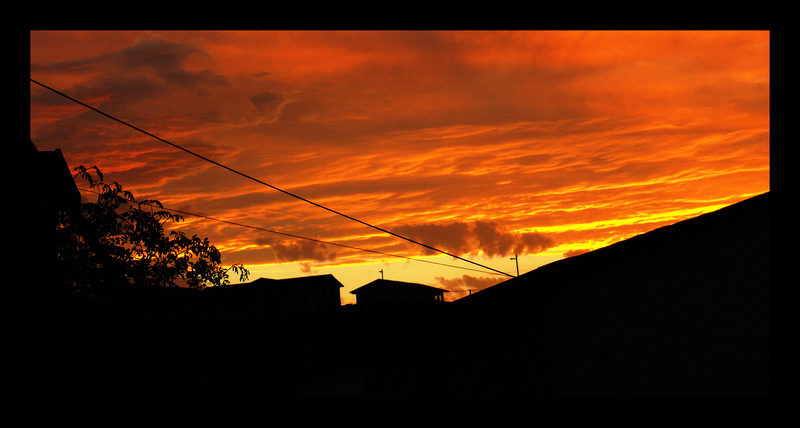 I needed solace, as much as solitude. So I headed to the one place that had always been a comfort to me. 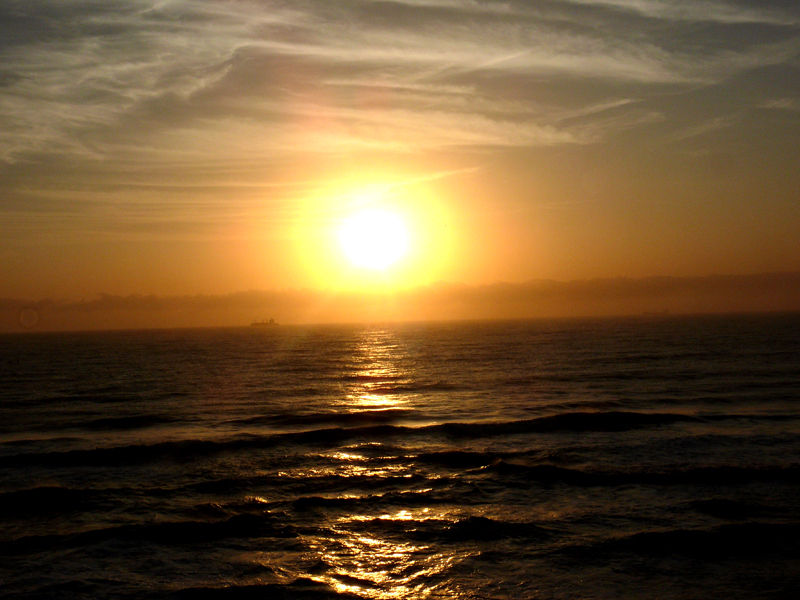 I arrived at the beach on Durban’s famed coast as the sun was low in the sky. Having come unprepared, I placed my sweater on the warm sand and sat down. I was much too young to have felt the true scourge of apartheid in my lifetime, but I have one lingering memory of being at this very beach at the age of about 5 or 6. My dad very sternly warned me not to make too much noise, and to remember to pick up any trash we leave behind, as we were not really ‘allowed’ on this beach, and could get in trouble for being there. 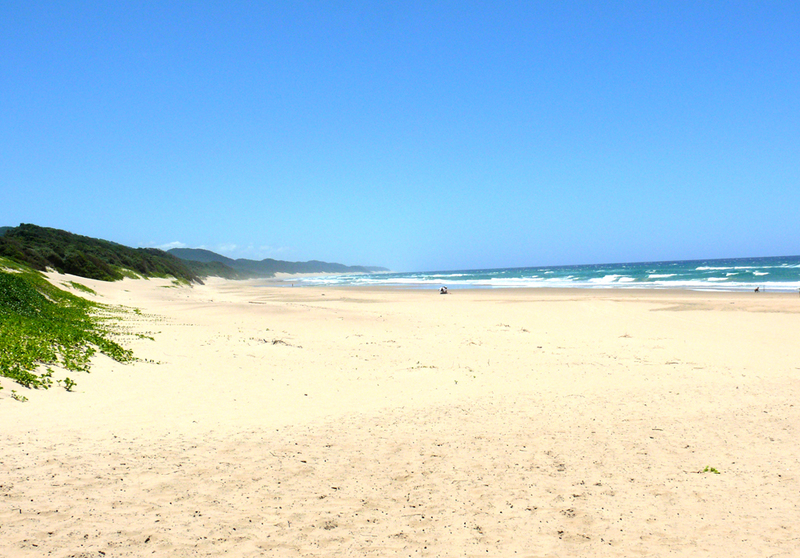 Looking around now I saw people of every creed and colour occupying that sunny stretch of beach. There were a group of teenagers riotously jumping around in the waves, and next to them a couple with their arms around each other, venturing deeper for a swim. On the water’s edge there was a young father dipping his baby girl’s toes into the foaming water. The toddler squealed with joy at each new wave. Under a distressed gazebo I spotted a cluster of old ladies having a boisterous conversation and laughing loudly. Every colour, every creed, occupied that golden beach that day and I realized with a sharp intake of breath: Madiba may have achieved more than anyone could have imagined politically – but right there in that moment, on that beach: his legacy could be found. I do not know what the future holds for the Rainbow Nation without our Tata. Some critics preach gloom and doom, while others are optimistic. Only time will tell. All I know is, I did a lot of things on that beach that day. I then; I said goodbye. 11 Reasons to Visit South Africa – Today! 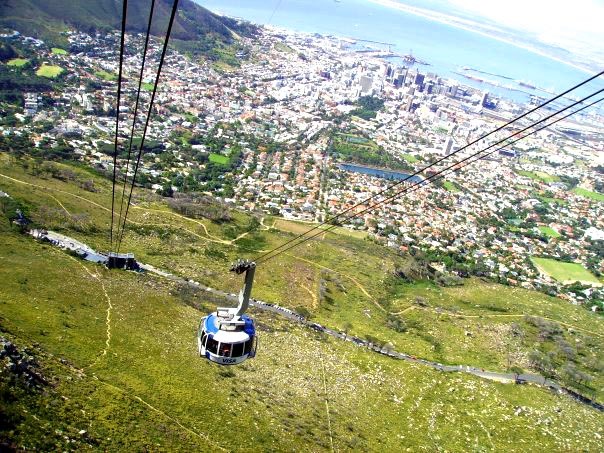 South Africa is a travel destination on the rise. Travel critics have been heaping praise and awards on the country in recent years, and South Africa is increasingly playing host to international visitors from just about every nation on earth. Its dynamic and vibrant cities offer modern infrastructure and the country is known for its incredible natural beauty. If you haven’t been to South Africa yet, here are 11 compelling reasons why you should book your trip – today! From the jaw-dropping views at Cape Point, to the incredible vistas over the Valley of a Thousand Hills…South Africa has some of the very best landscapes in the world. 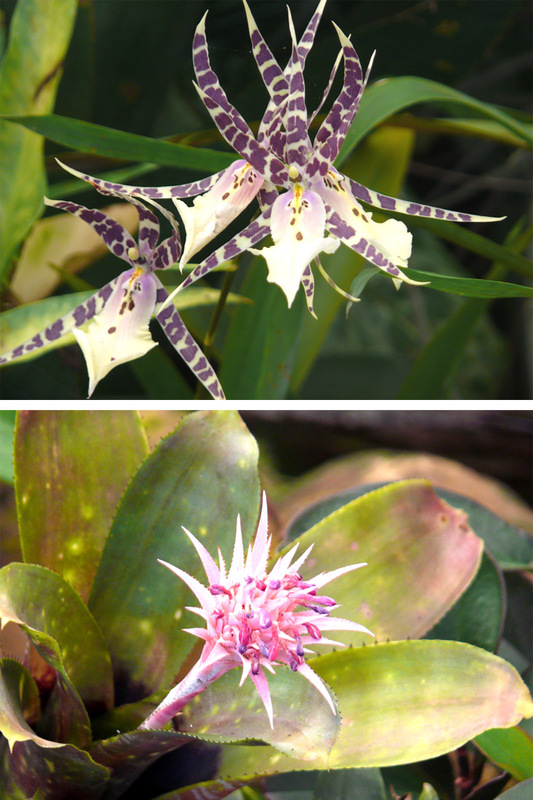 There is the glamorous beachfront strip of Durban’s famed Golden mile and the hidden treasures of the St Lucia wetlands. Be it a sunset over Table Mountain, or the rugged splendor of the Karoo – there is breathtaking beauty all over South Africa. 2. Beach, Desert, Safari or Mountains? No need to settle! 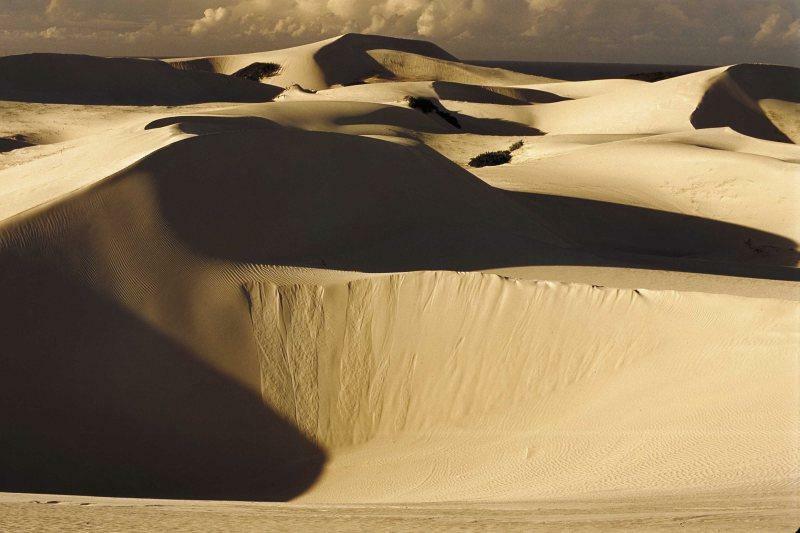 There are very few places on earth where you can enjoy a swim in the refreshing ocean waves one day and go sand-boarding over pristine dunes the next. 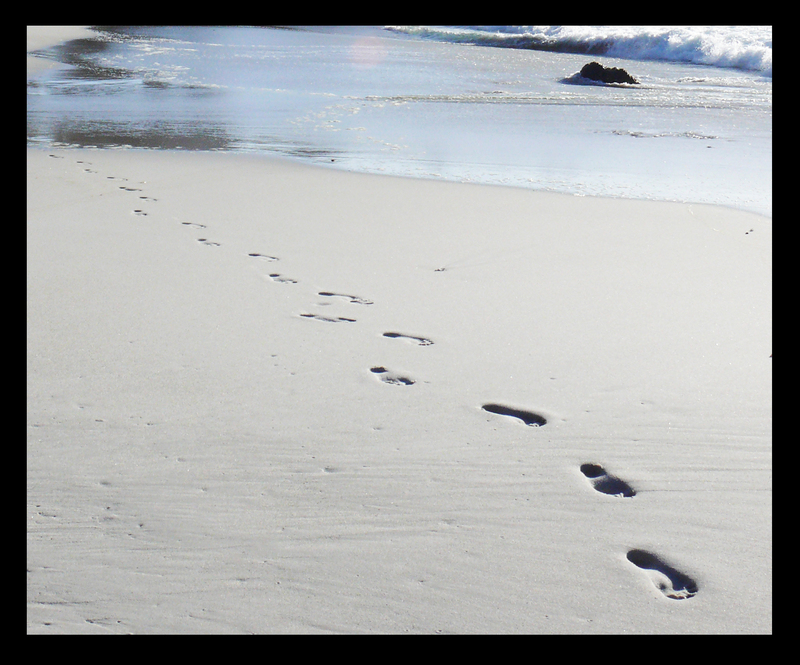 It’s worth noting that several South African beaches have been awarded the prestigious Blue Flag accreditation which means they meet the most stringent criteria in terms of cleanliness, safety and water quality, amongst others. Whether you prefer the tranquility of the wilderness, the pulsing beat of a cosmopolitan city, or hiking in the mountains – South Africa can make the holiday of your dreams a reality. 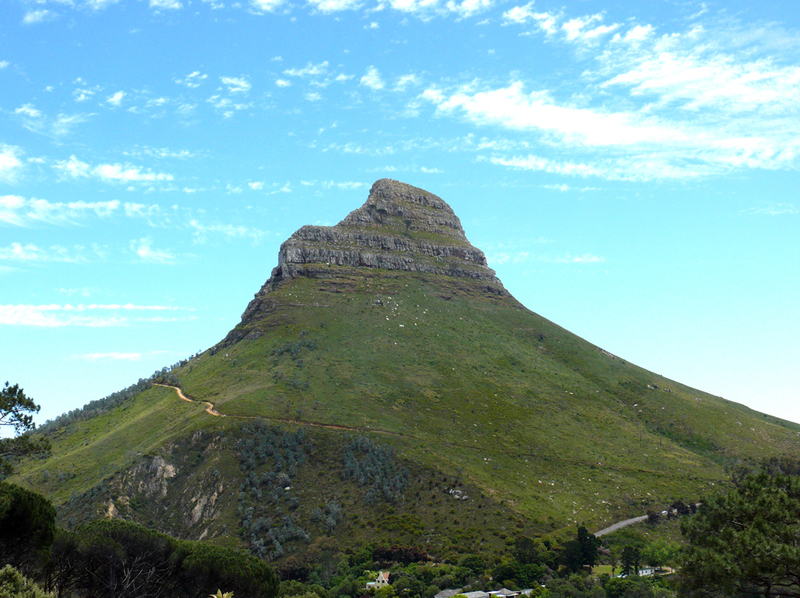 Fancy a hike up the ominously named Lion’s Head in Cape Town? 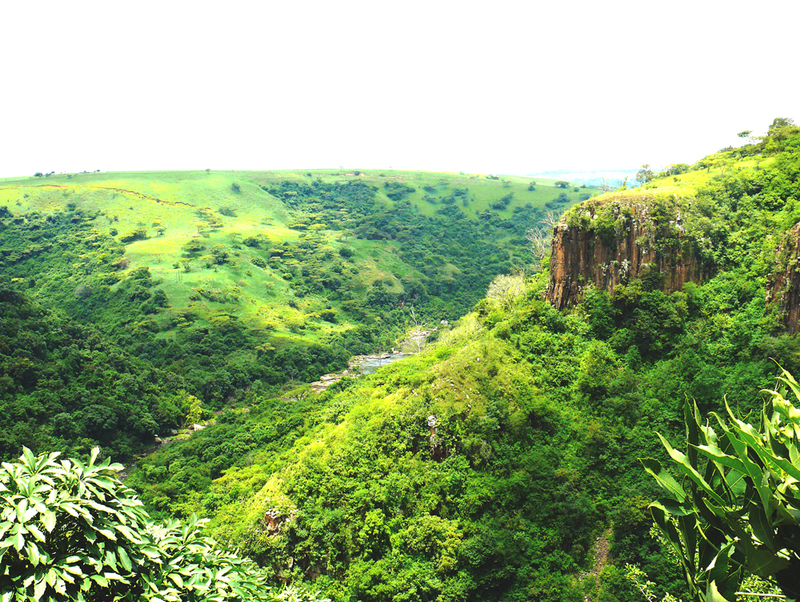 About 50 kms northwest of Johannesburg lies the Sterkfontein caves and the Cradle of Humankind. It was here that human evolution fossils – some of the oldest ever found – have been discovered (including the affectionately nicknamed Mrs. Ples) furthering the belief that Africa is the birthplace of humanity. 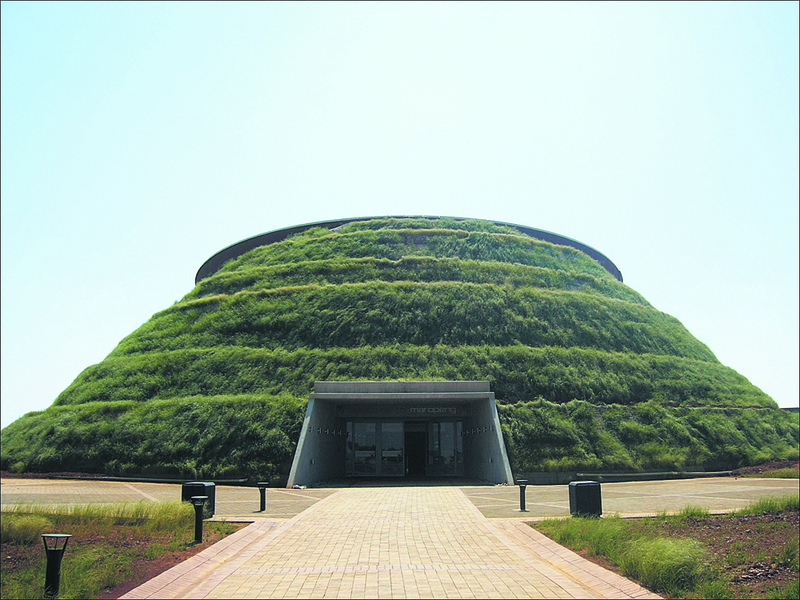 The Cradle of Humankind is one of the eight UNESCO World Heritage sites in South Africa. 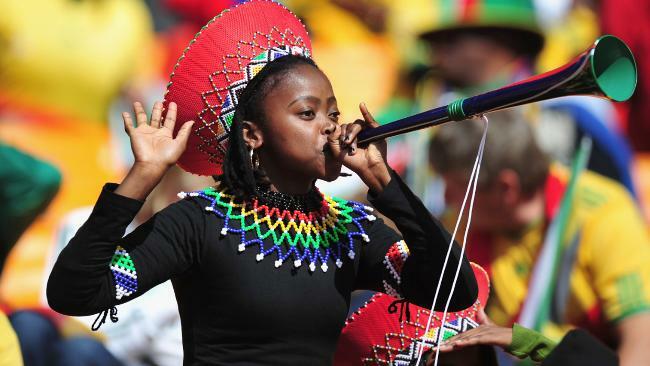 An extremely diverse country, South Africans express their culture through music, dance and art – all of which are thriving enterprises in South Africa. A competitive film industry, one of the oldest in the world, continues to grow at an exponential rate. But perhaps one of the most enduring images of South African culture is that of the Zulu people, and a visit to a Zulu village is a highly recommended experience. From the colonial era to the Anglo-Boer war, the discovery of diamonds to the arrival of Indians by the boatload; South Africa’s history is rich, although tumultuous. 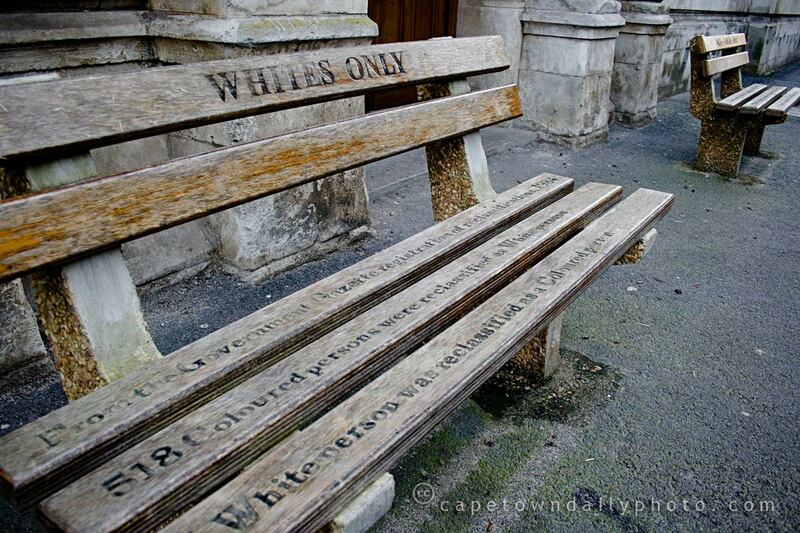 The most well known part of the country’s modern history remains the rise and subsequent fall of Apartheid. While all South Africans today enjoy the freedoms of a democratic constitution, it is our history that has shaped the people we are today. The Anglo-Boer war battlefields near Ladysmith are worth a visit; while the Apartheid museum in Johannesburg provides a poignant reminder and a fundamental understanding of this dark era in South African history. 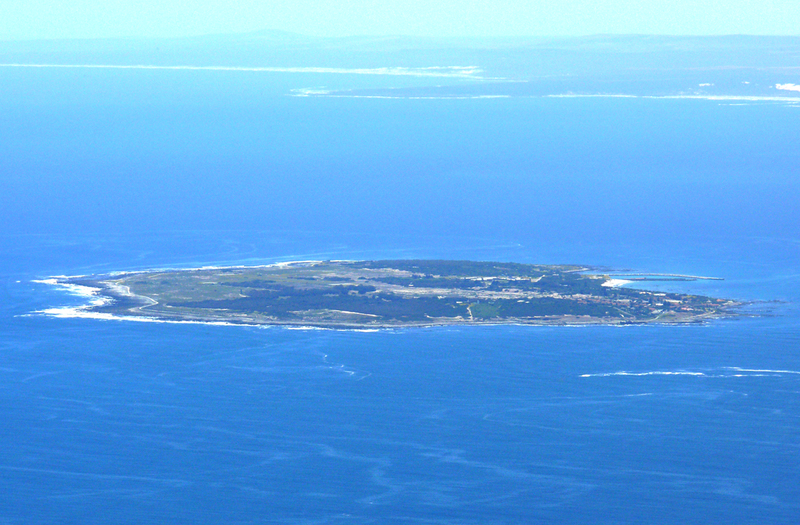 A trip to Cape Town will not be complete without a ferry ride to Robben Island, another UNESCO World Heritage Site that was once used for the imprisonment and isolation of political prisoners – including Nelson Mandela. A sobering tour depicting the arduous conditions of the prison and the tiny, damp cell where Mandela spent 18 years of his life often leaves visitors in tears. There is nothing quite like the African bush, and the world over, people will agree: there is no place that provides better game viewing than South Africa. Of course the Big 5 (lion, cheetah, buffalo, elephant and rhino) is the drawing card for most, but safaris in South Africa can also provide incredible sightings of giraffe, zebra, antelope and thousands of bird species. 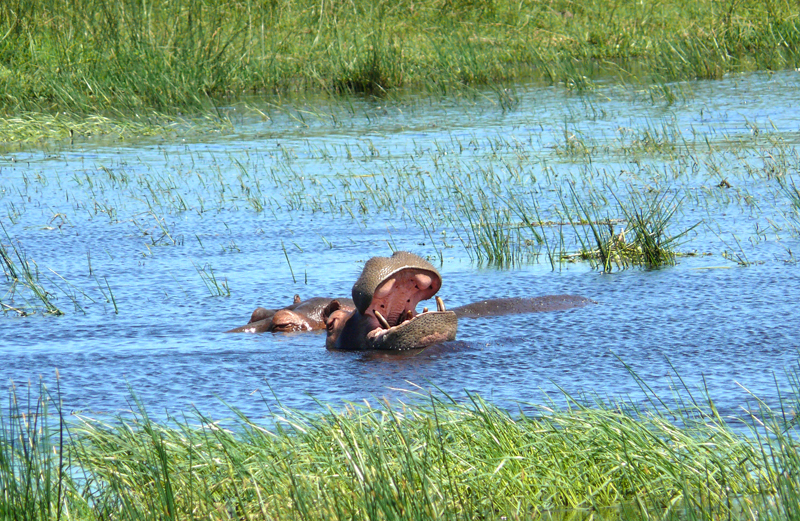 Although, you don’t necessarily need to be on safari to cash in on the wildlife action – we were once enjoying dinner at a restaurant in St Lucia when a herd of hippos decided to check out the vegetarian offerings in the shrubs across the town’s busiest street! 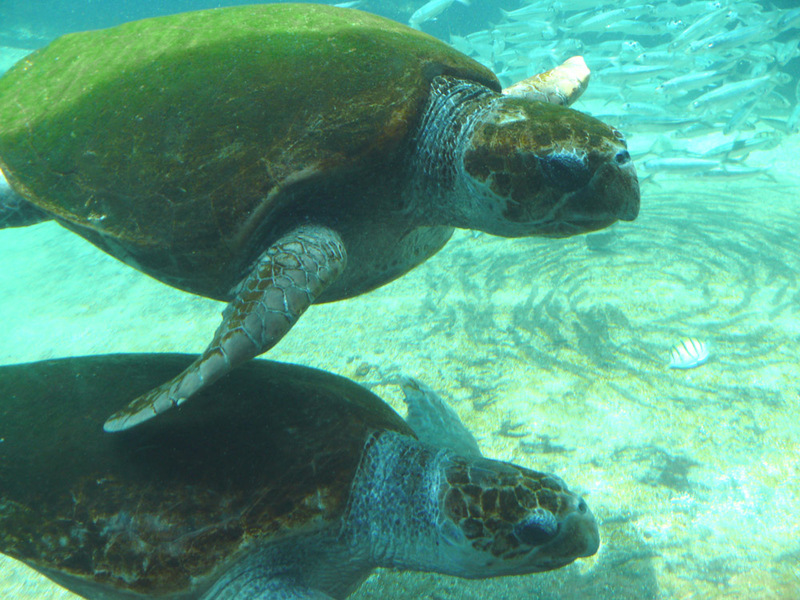 Several coasts along the garden route present amazing whale watching opportunities and several spots in South Africa are considered prime diving and snorkelling sites, rich in coral and marine life. 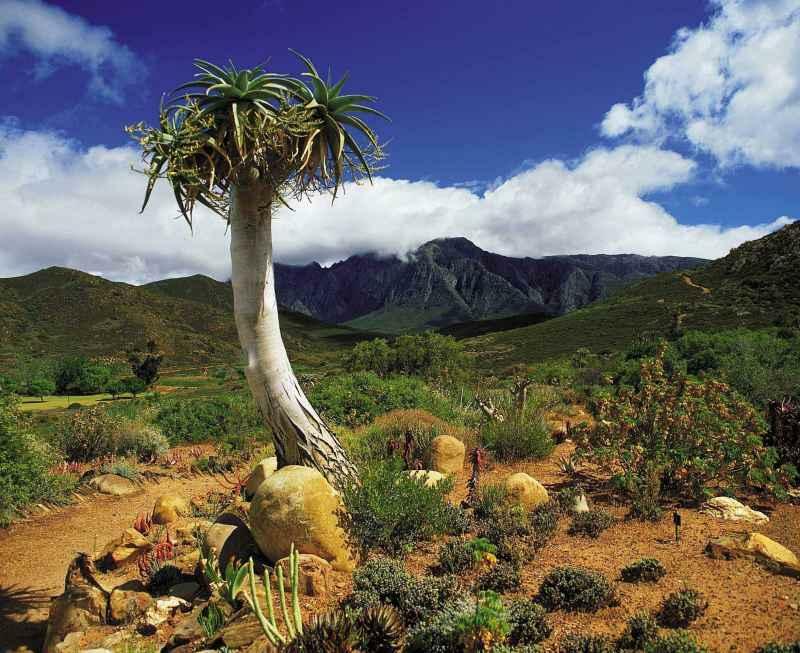 If you’re more flora than fauna, don’t let the vast deserts fool you, South Africa is home to about 10% of the earth’s flowering species and is only country in the world with an entire plant kingdom contained within its borders – the Cape Floral Kingdom. 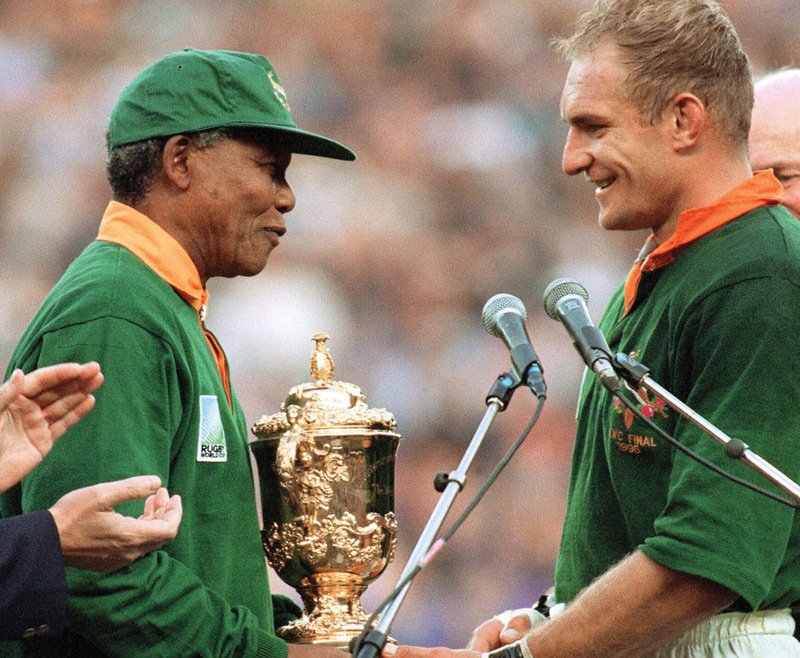 There is still a lingering glow from the impressively successful Soccer World Cup in 2010 which unified South Africa in the most unexpected ways, and proved the naysayers wrong; and so many South Africans still carry golden memories of the historic moment when then newly-elected president Nelson Mandela, in his Springbok jersey, presented the trophy to our rugby captain in what can only be described as a fairytale ending to the 1995 Rugby World Cup. Sports fans will agree: there is definitely no shortage of top notch sporting sports events taking place in South Africa. The Comrades Marathon and Dusi Canoe marathon are other shining examples of world class events taking place annually on the South African stage. From cycling to surfing, cricket to golf – our country is increasingly showcasing its ability to plan and host successful international sporting events, and inspirational South African athletes in almost every facet of sport are flying the flag high for the Rainbow Nation. And while it may not be the world’s favorite instrument, I think we’re somewhat secretly proud of the vuvuzela! The South African Rand is relatively weak against major currencies such as the Pound, Euro and Dollar, which makes it a very affordable destination. International visitors are often pleasantly surprised at the relatively low cost of hotels, food and transport. While those looking to splurge on the ultimate luxurious vacation will not be disappointed by the 5-star accommodations and cuisine available all over the country, there are plenty of affordable safari or city breaks that can match any budget. Increasingly, South Africa is becoming a shopper’s paradise. With large malls dotting the country, and international chain stores and designer boutiques setting up shop; locals and tourists alike are finding everything their hearts desire in terms of fashion, accessories and jewelry. 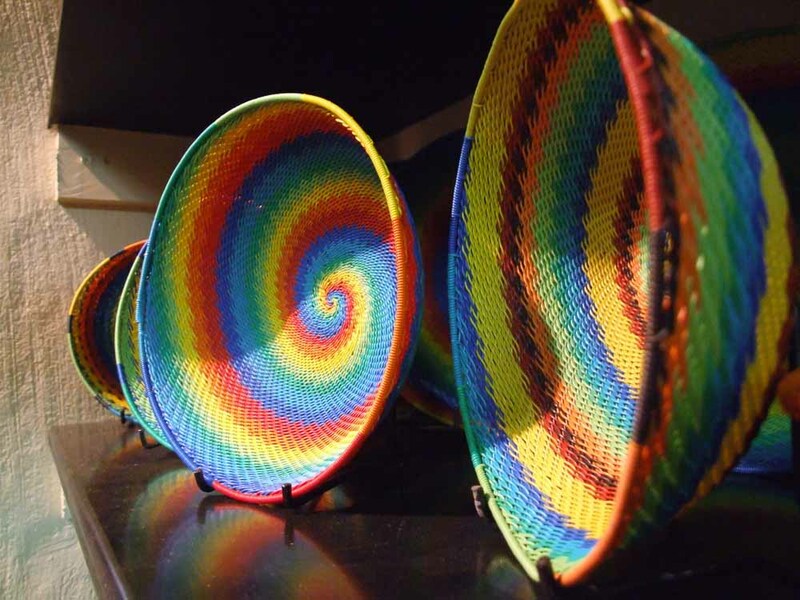 Ever-popular flea markets and craft stalls are still found in the cities and along the beachfronts, offering quirky home décor and ideal souvenirs. South Africa enjoys a subtropical location, which in weather terms translates to hot, humid summers coupled with afternoon thunderstorms; and cooler, dryer winters that are typically sunny. 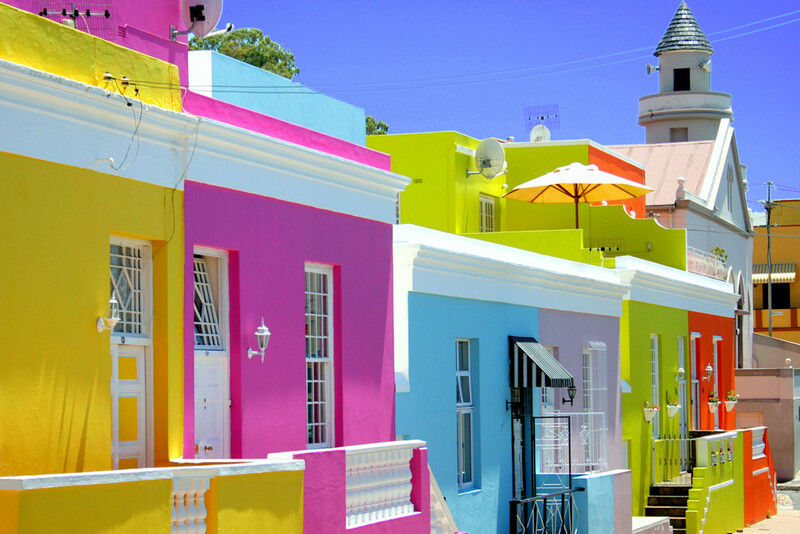 It is this almost year-round sunshine that is increasingly attracting savvy travelers to South African soil. In my opinion there is honestly no bad time (weather wise) to visit SA, but planning your visit around specific activities and interests is highly recommended. 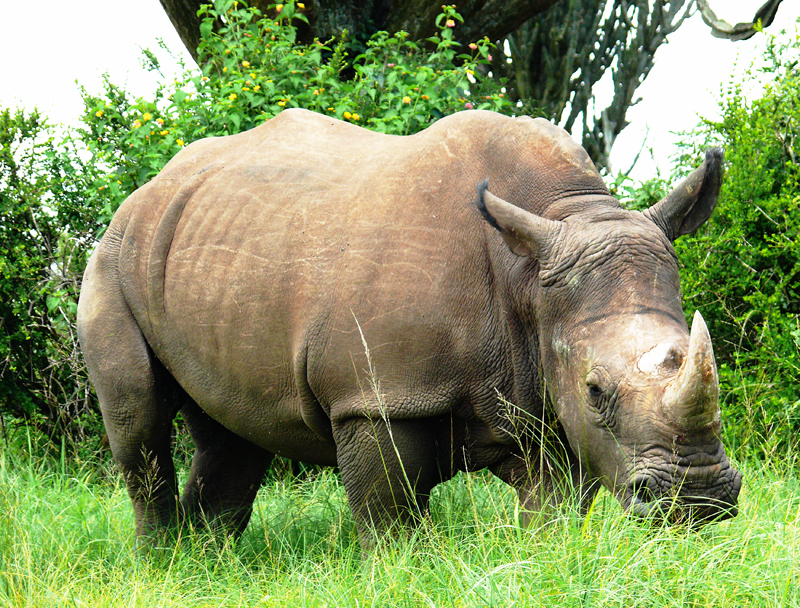 For example, game viewing is normally best during the dry winter months, as the hot summers typically mean animals are seeking respite from the heat in the dense, lush vegetation. However, avid bird watchers will find the summer months the best time to view the migrant bird species. The mild months of autumn or spring can be ideal for mountain hikers, while whale-watching enthusiasts may be rewarded between July to November. South Africa may not be the first destination that springs to mind when you think of Michelin starred restaurants, but the culinary scene in South Africa is sophisticated and thriving. As always, the emphasis is on the supply of the freshest possible ingredients of the highest quality, and there is no shortage of that in SA. 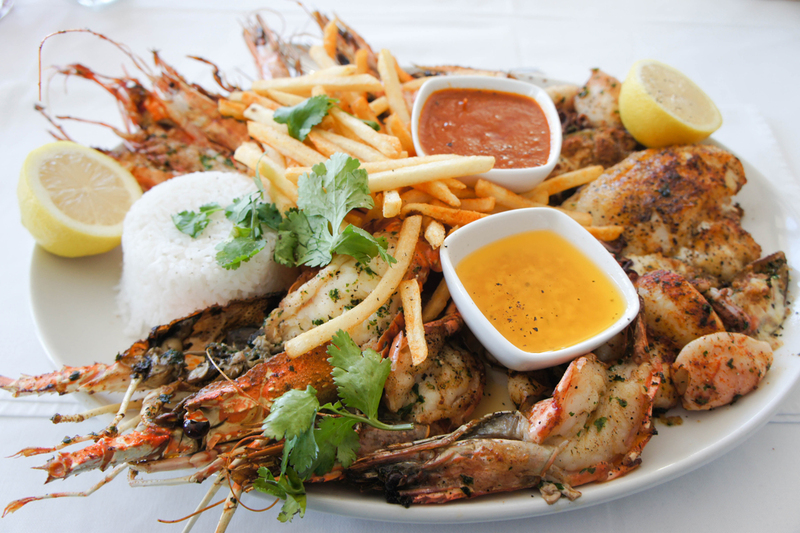 From incredible seafood to succulent Karoo beef, foodies will find their full amongst restaurants catering for every craving. The street food trend may be taking off all over Europe, but South Africa (and Durban in particular) is home to the Bunny Chow – what can only be described as the ultimate street food. (If you haven’t tried it, find our more here). 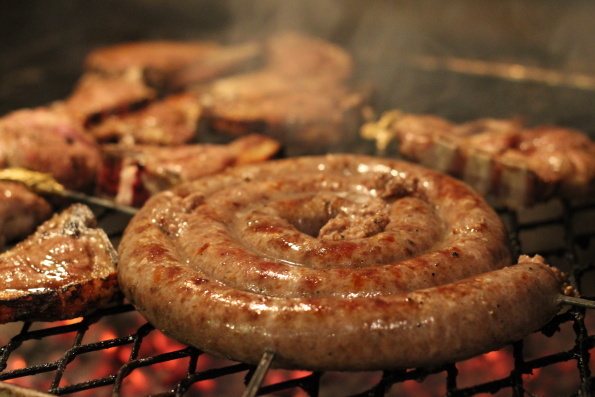 From locally brewed beers, to world class coffees, and not to mention one of the most acclaimed, award-winning wine routes in the world; the South African food scene is evolving, one braai at a time. South Africa is unique in so many ways. For starters, it has special mention in the Guinness World Book of records as the country with the most official languages – eleven! This just represents of diversity of our beautiful land and why the term “Rainbow Nation” is so apt. 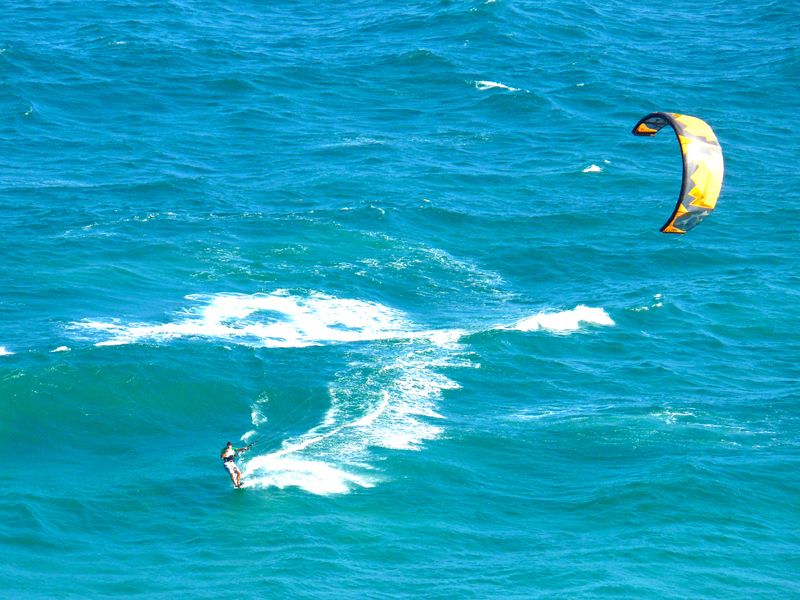 Did you also know that Cape Town is the only city in the world to have its coasts in two different oceans? Or that the city which has the most trees in the world is Johannesburg? – Yes you read that correctly! 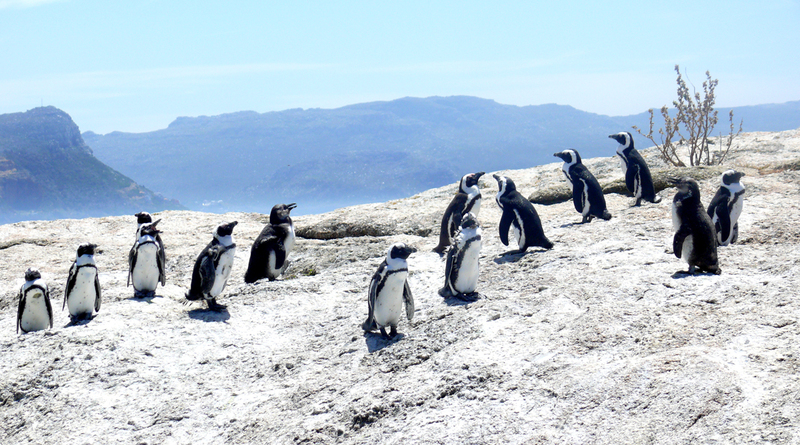 While it may seem unbelievable to many, South Africa even has its own penguin colony at Boulders beach. Courage, hope and perseverance are just some of the adjectives that come to mind when I think about the people of South Africa. 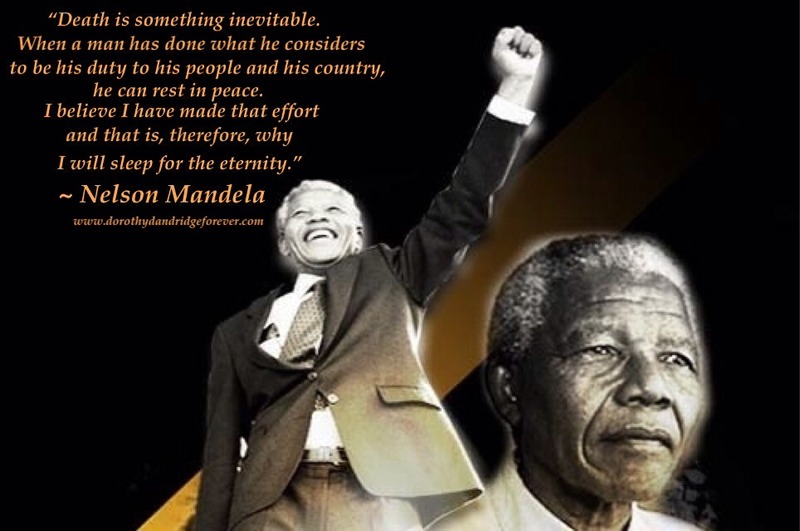 Yes, high crime rates are noted, and the ugly shadow of Apartheid may linger; but South Africans as a whole, are a nation of courageous people filled with an insuppressible hope. Almost every traveler I have encountered on my trips far and wide, who has visited South Africa, has had only positive things to say about the people they met there. Stories of good Samaritans and friendly, smiling faces everywhere they went are the norm. For a country whose people have had to endure so much, I am still astounded by the eternal optimism that surrounds me every time I return. It makes me so very proud to call myself a part of the Rainbow Nation. With only a few days left to enter, I’ve been nominated by Tiffany Wüest of ‘World Meets Girl’ for the Capture the Colour Competition. Firstly, there are some serious prizes to be won from iPads to a cool £3000 travel fund. But more than that, the competition itself sounds pretty awesome, and I can’t wait to see the entries in each category. So I went in search of images representing Red, Green, Blue, Yellow and White from the hundreds of travel photos I’ve accumulated over the years. But I decided to take my own little spin on the competition by paying homage to my home country: South Africa. Extremely apt, seeing as South Africa is known as the Rainbow Nation…every colour welcome! Caught completely unaware by the setting sun, I managed to snap this photo just as the last of the light was disappearing under the horizon. This picture always makes me feel as if he was looking right at me, if only for a second. 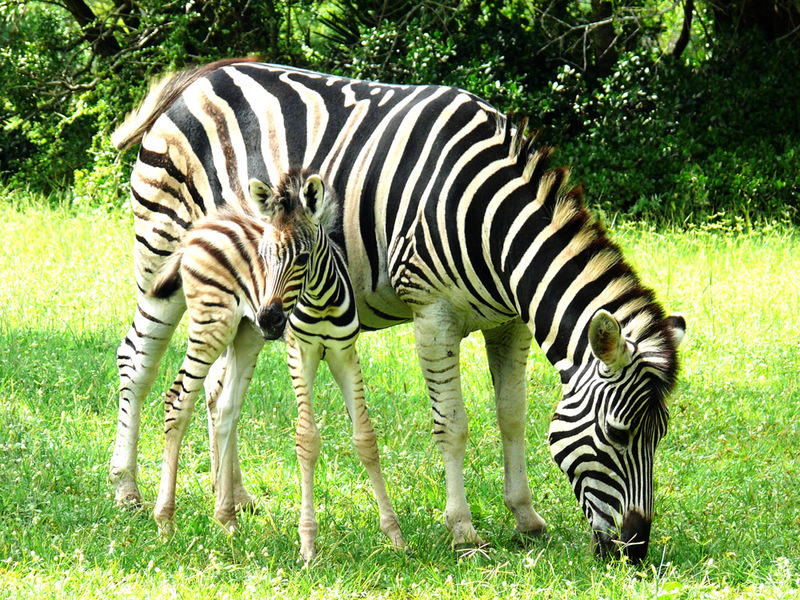 I had never seen a baby zebra before; some of his stripes were still brown! 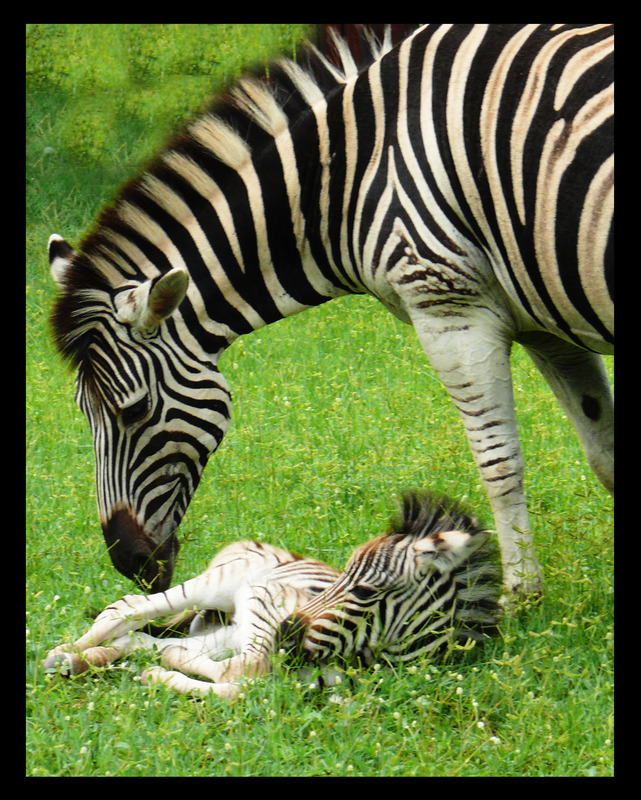 Too tired to stand anymore, he playfully fell at the feet of his mother, and rolled over for attention. 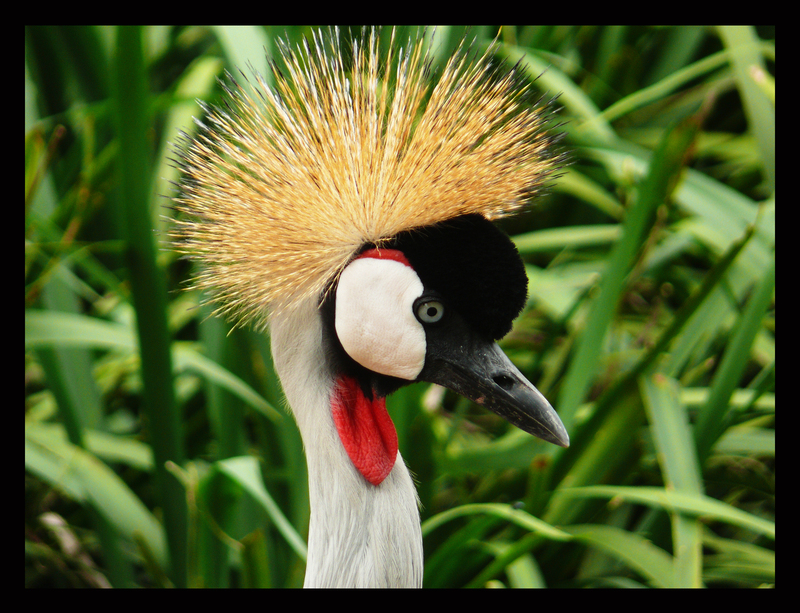 Like a golden crown – the African Crane bird is regally clad. National bird of Uganda, but sometimes spotted by lucky safari-goers in South Africa. 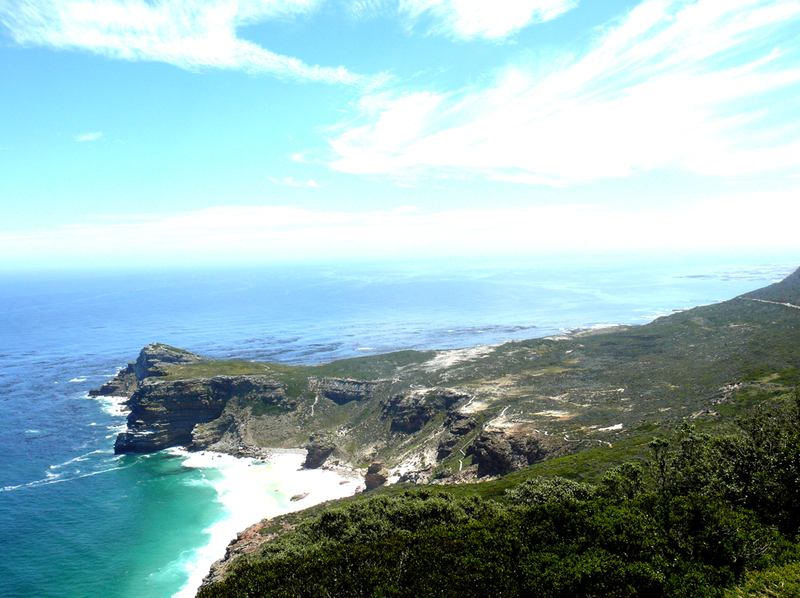 There isn’t a shortage of natural beauty in Cape Town. 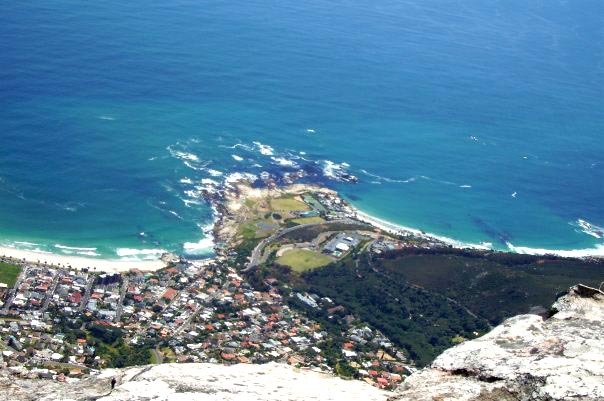 From Table Mountain, to Cape Point – the city is alive with picturesque landscapes at seemingly every turn. 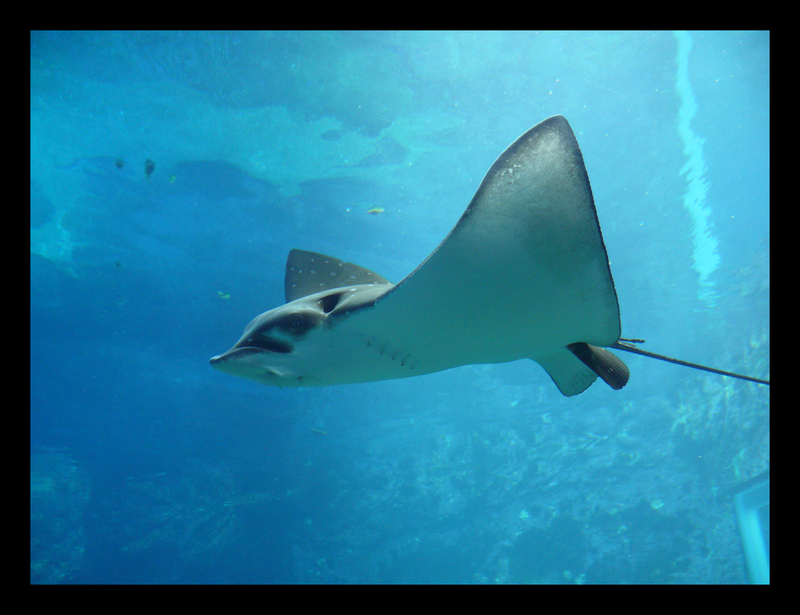 This photo was taken on my honeymoon in the Mother City. Feel free to let me know what you think of my entries! 13. The slang! A mixture of several language influences – it’s in a class of its own! “I believe that South Africa is the most beautiful place on earth. Admittedly, I am biased but when you combine the natural beauty of sunny South Africa with the friendliness and cultural diversity of our people, and the fact that the region is a haven for Africa’s most splendid wildlife, then I think that we have been blessed with a truly wonderful land.” – Nelson Mandela. The best spas in the world all have something in common: They succeed in effortlessly making time stand still. 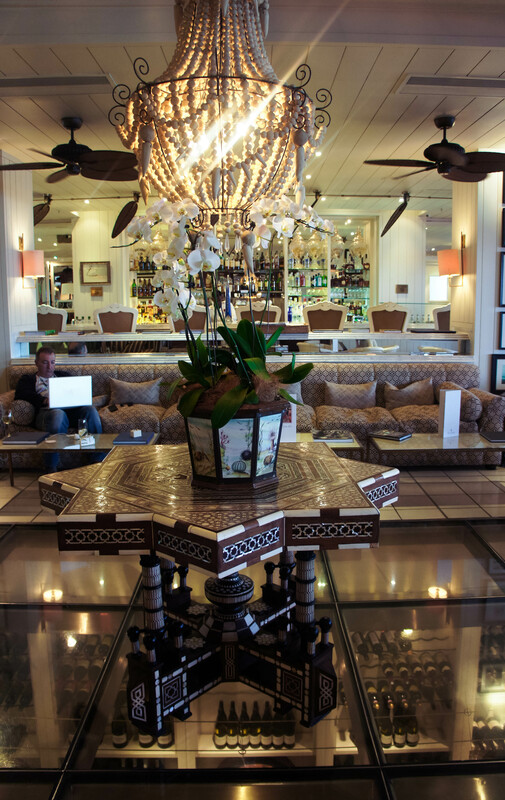 I was looking for such an experience when I stepped through the softly-swishing glass doors of the Riverside Spa in Durban. 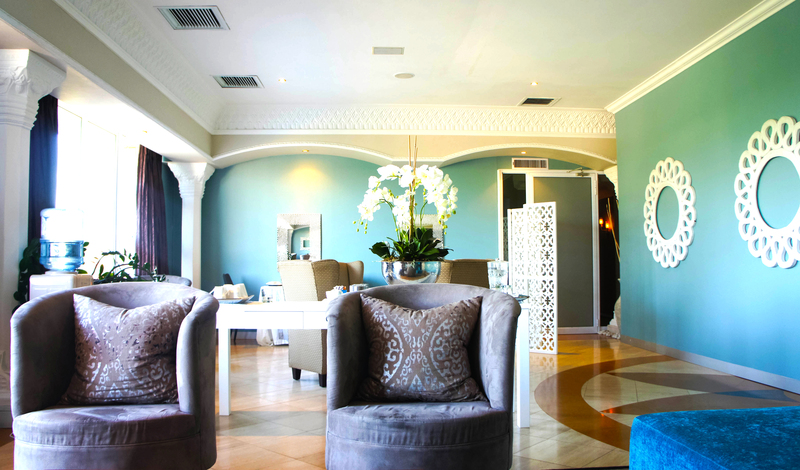 Nestled on a hill overlooking the Umgeni River, the spa is coupled to the well-known Riverside Hotel, belonging to the notable Three Cities Hotel Group. My senses were immediately invoked by the calming sounds of soft music, and the clean open spaces of the reception area. Having dreamed of visiting the islands of French Polynesia ever since…well…ever since I could dream; I had made sure to book the spa’s “Polynesian Experience” from their spa journeys menu. 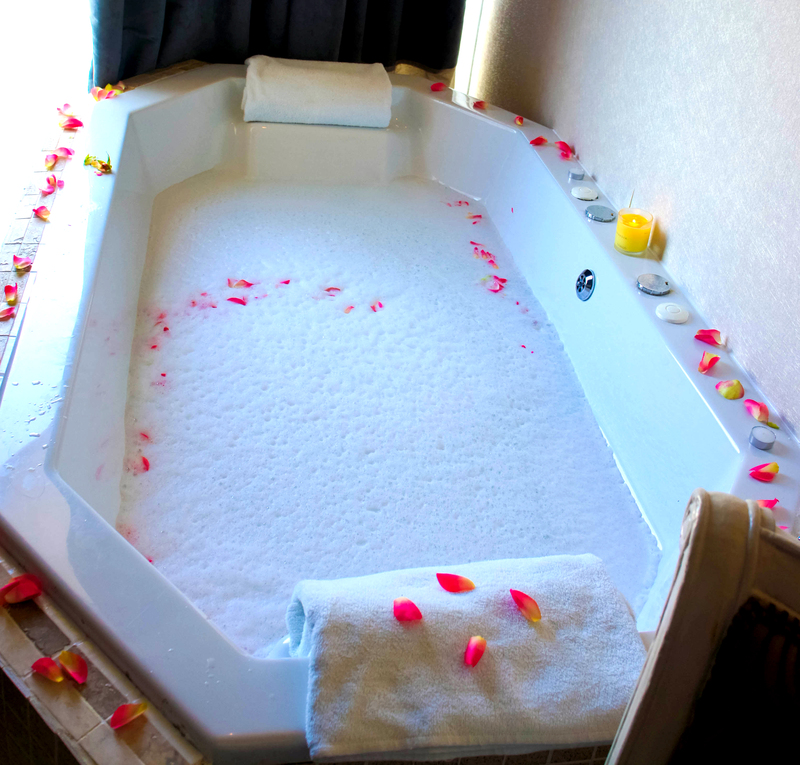 After a brief check-in at the reception, I was escorted to the spa’s common room. I absolutely loved the décor of this space – rich royal blues and stately greys in plush velvets. 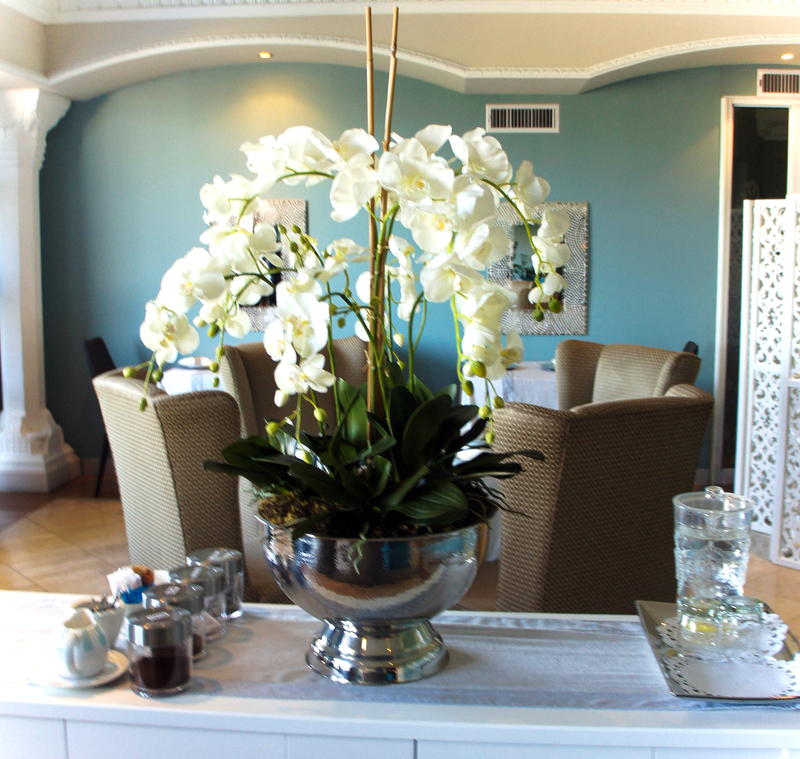 The room was adorned with white orchids in large silver pots, which drew to attention the white of the wall decorations against the pale blue paint. 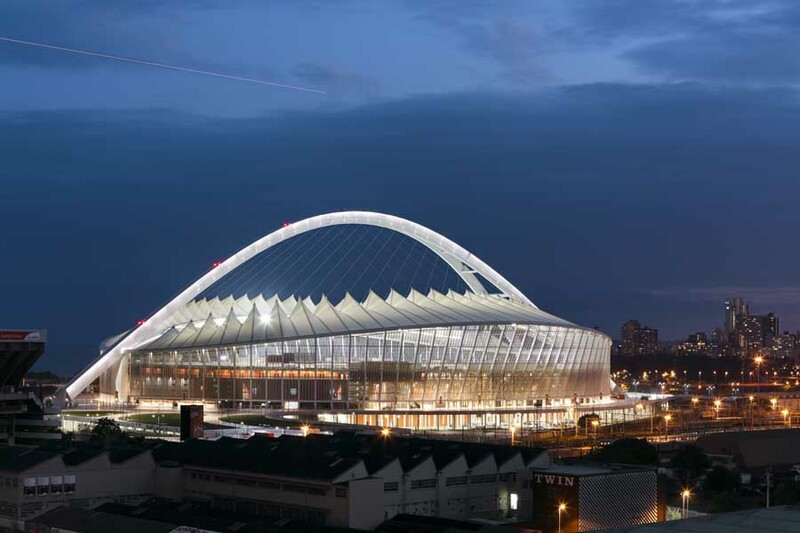 Large windows let in an abundance of light and paid due justice to the sweeping views over the city’s famed greenery, the commanding Umgeni river, and the majestic image of the new stadium that has forever changed Durban’s skyline. After quickly trading my ‘street’ clothes for the velour (yes, it was winter!) 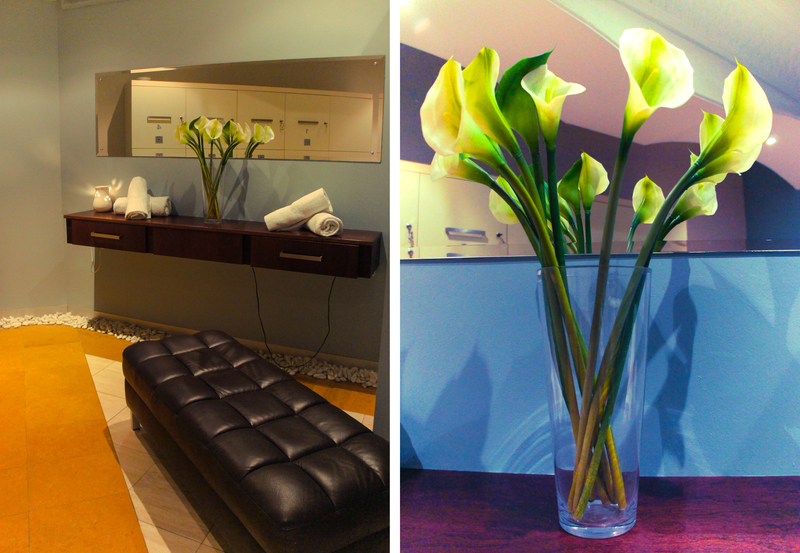 bathrobe in the small but beautifully appointed change room (decorated with calla lilies); I was ushered to the lower floor to enjoy the spa facilities. I found the spa’s facilities basic, but adequate. It’s worthwhile noting that the scheduling of reservations is attempted in such a manner to ensure that guests may enjoy private time in the facilities area. As the space is quite small, this was highly appreciated. Upon returning to the serene common room, I finally met my therapist. I took an instant liking to her bubbly personality as we proceeded to the treatment room. It was much larger than expected, with not one, but two beds, and a grand jet spa bath in the corner. 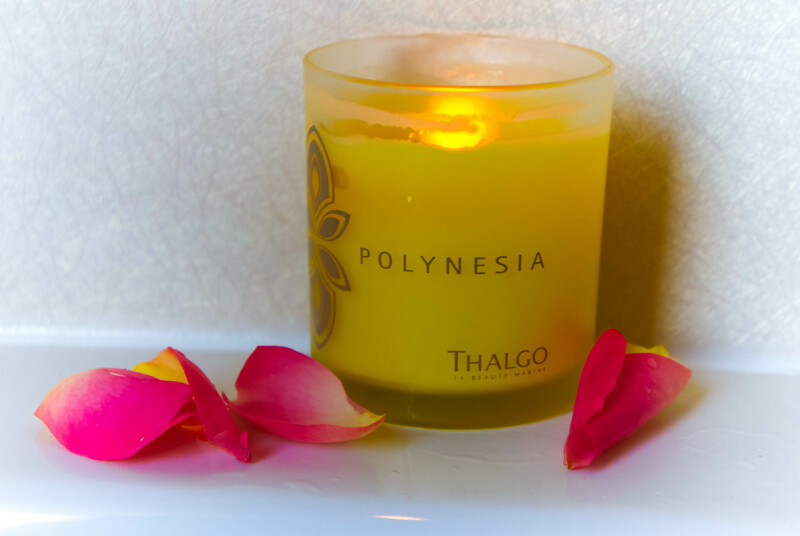 As I got comfortable, she talked me through the list of treatments in my Polynesian Experience package, and the exceptional Thalgo products she’d be employing. The first stop on the incredible journey was the island of Taha’a. 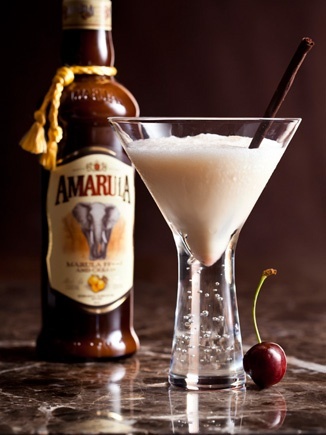 Producing 80% of French Polynesia’s vanilla, the island is aptly known as ‘Vanilla Island’. My day spa experience began with a luxurious marine salt and vanilla full-body scrub. The room filled with these delicious aromas as my skin was buffed and exfoliated to perfection. Completely attuned to my silent preferences, she lingered over the foot scrub, adding a marvelous, impromptu foot massage to the mix. I was eager for the next stop on my journey – a visit to the tiny island of Manihi. The coral atoll, famous for its pearl farms, inspired the soothing aromatherapy spa bath with essential oils and luxurious bath pearls. My lovely therapist set up the bath exactly as I liked – piping hot. She lit a scented candle, and with a scattering of rose petals, she was gone. As I lay soaking in the fragrant hot water, I was able to enjoy the panoramic vistas over the city. Time lost all meaning and the rushed pace of everyday life ground to a complete halt. 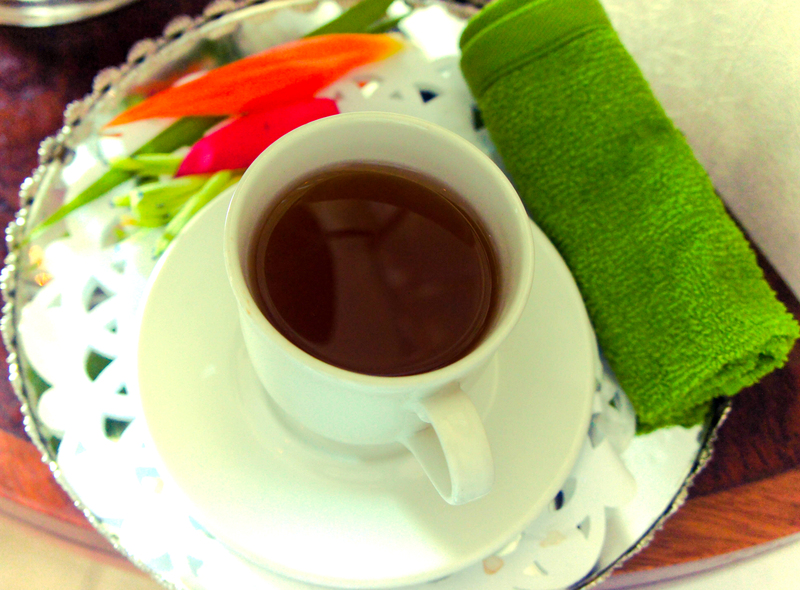 I emerged, rejuvenated from the bath, and enjoyed a wonderfully-presented cup of green tea before being carried off to the next idyllic destination on my Polynesian journey; the incredible island of Bora Bora. Famed for its beauty the world over, the island is surrounded by stunning turquoise waters and powdery soft, white sand. 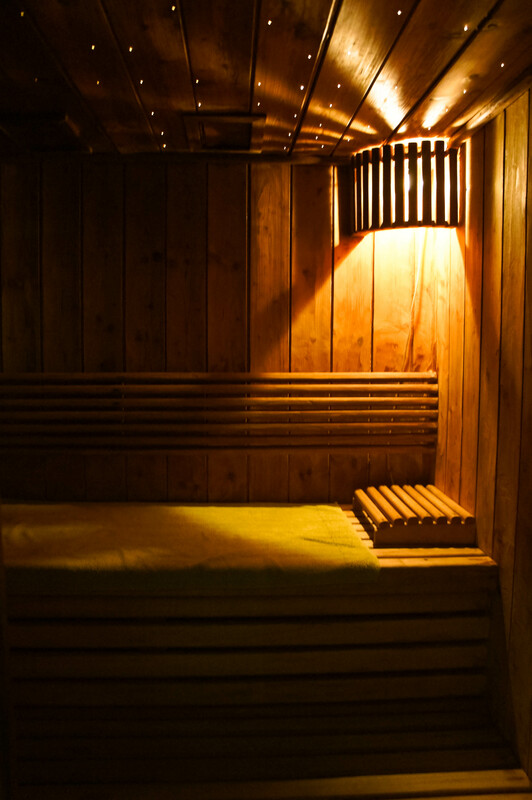 Accordingly, the massage that followed was a slow, powerful massage using warm sand pouches and Monoi oil to deeply relax and loosen the muscles. I had never encountered a massage that employed sand pouches before, and I quite enjoyed the experience. My therapist hit all the right spots, saving the best for last: a brief, but deeply gratifying scalp massage. 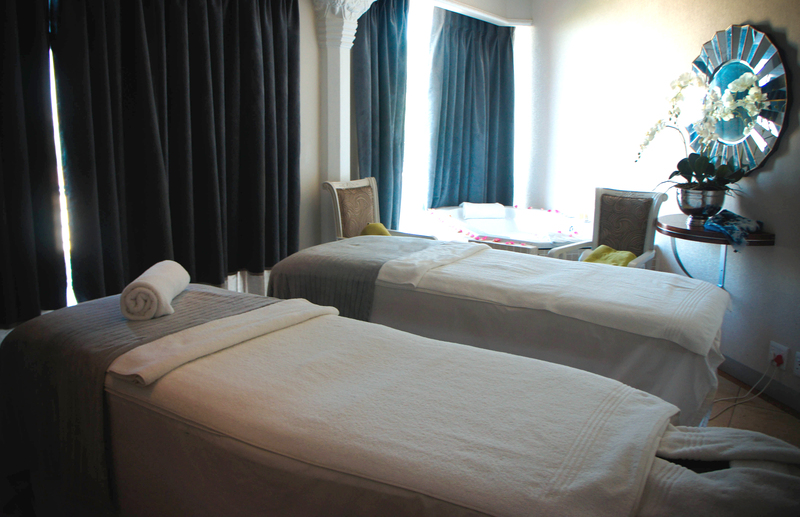 I dozed off at various times during the hour long full-body massage – such was its excellence. The fourth, and sadly final, stop on my journey was the island of Raiatea. Regarded by the Polynesian people as a sacred marae of their ancestors, my concluding treatment entailed a radiant rub in sacred oil. Sweet-scented, with a glowing shine, the rich oil left my skin pampered and deeply nourished. The word ‘Raiatea’ loosely translates to ‘Bright Sky’… apt to describe the mega shine of my skin as I left the secluded confines of my treatment room. 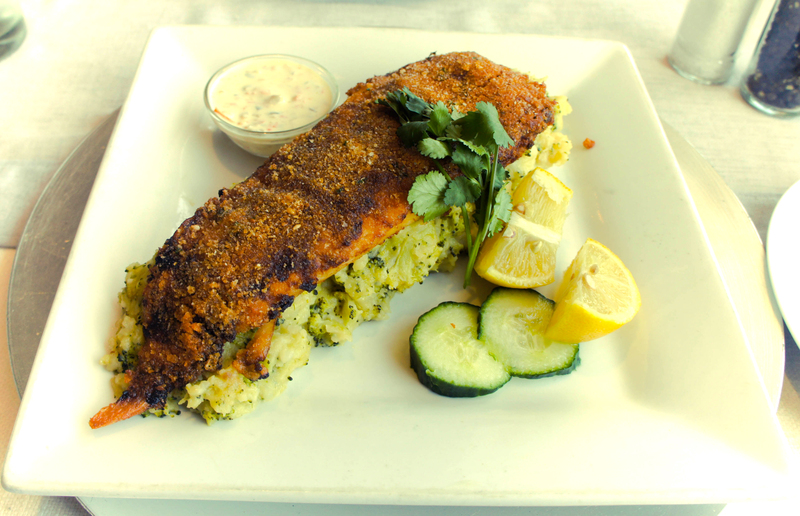 I dined in the common room, and lunch consisted of a crumbed hake fillet served with veggies. 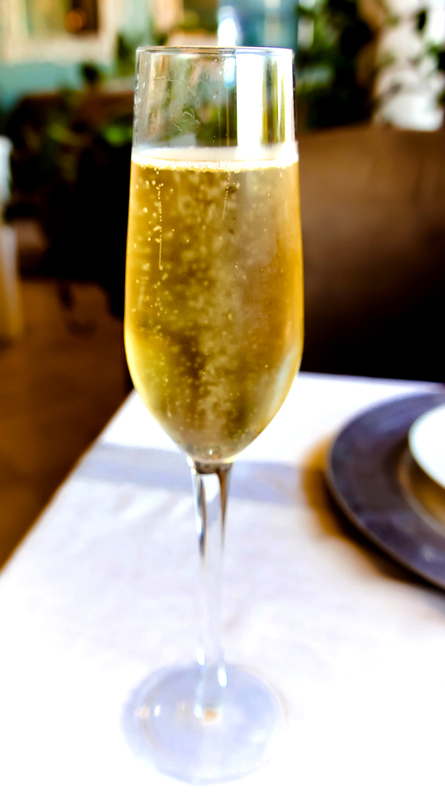 It went down exceptionally well with a glass of chilled champagne. 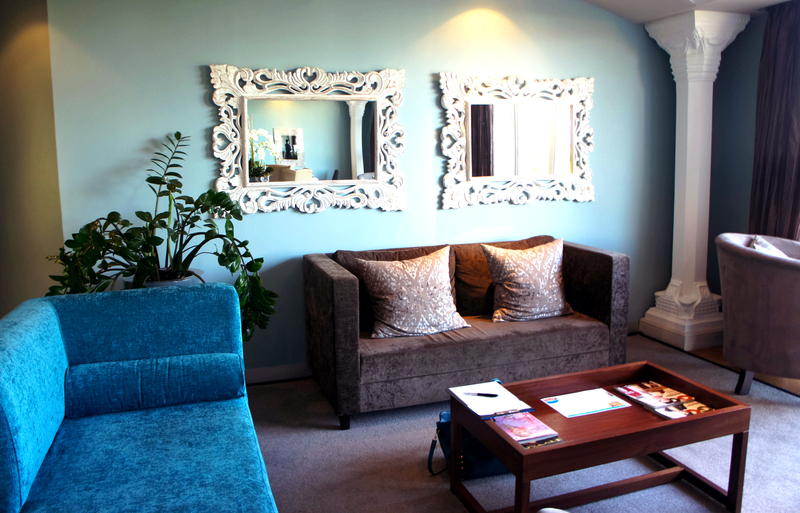 The décor – extremely serene and luxurious, it invoked a sense of calm, and made me feel relaxed and pampered… exactly as a spa should! 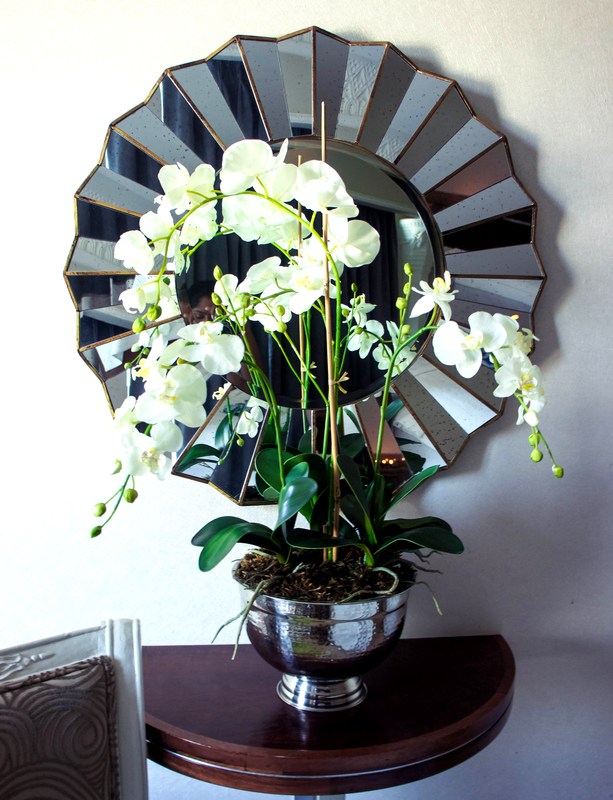 Orchids and Calla lilies (my absolute favorite flower) adorned each room, and added to the glamorous feel of the spa. Apart from the cold ‘heated’ pool, I really have no complaints. 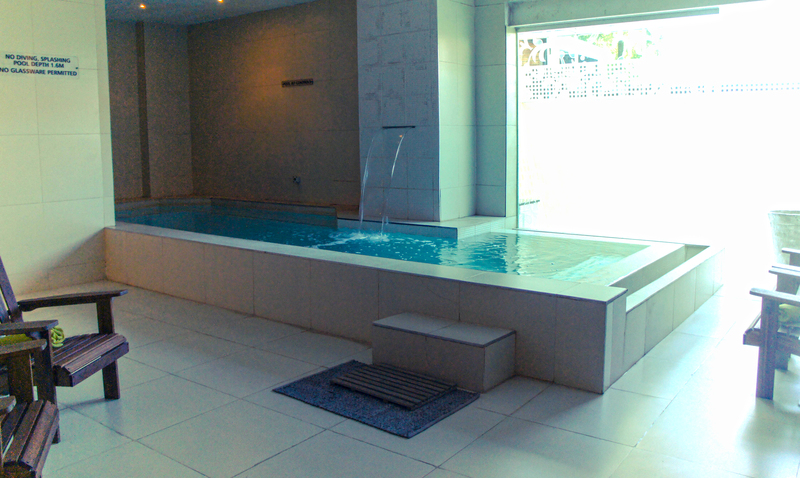 I will most certainly be heading back to Riverside spa for a day of pampering when I’m back in Durban! Disclaimer: No part of this spa experience was paid for by Riverside Day Spa. The views expressed in this review are from my own personal experience, and have not been prejudiced in any form. 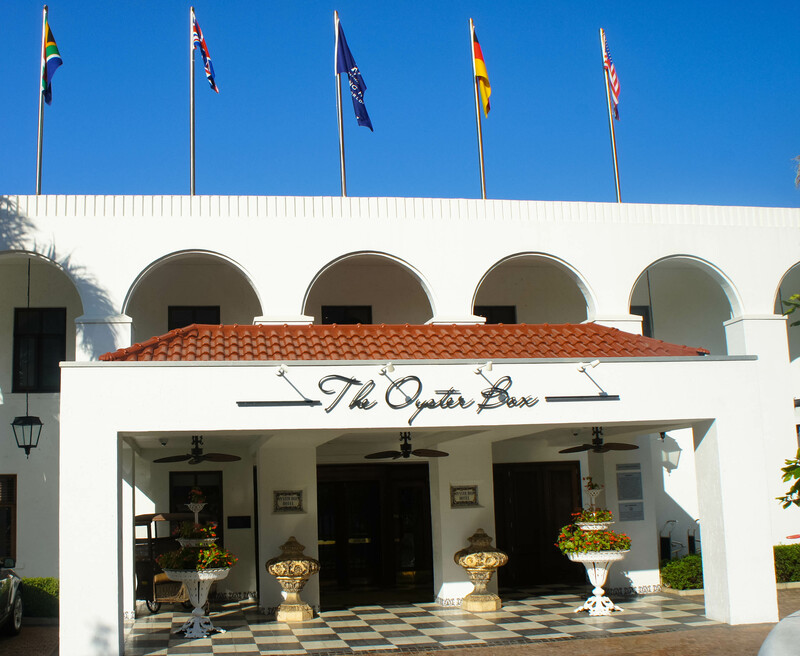 Mere steps away from Umhlanga’s most prominent landmark, its lighthouse; and amidst a backdrop of colonial opulence, one can find the iconic Oyster Box hotel. 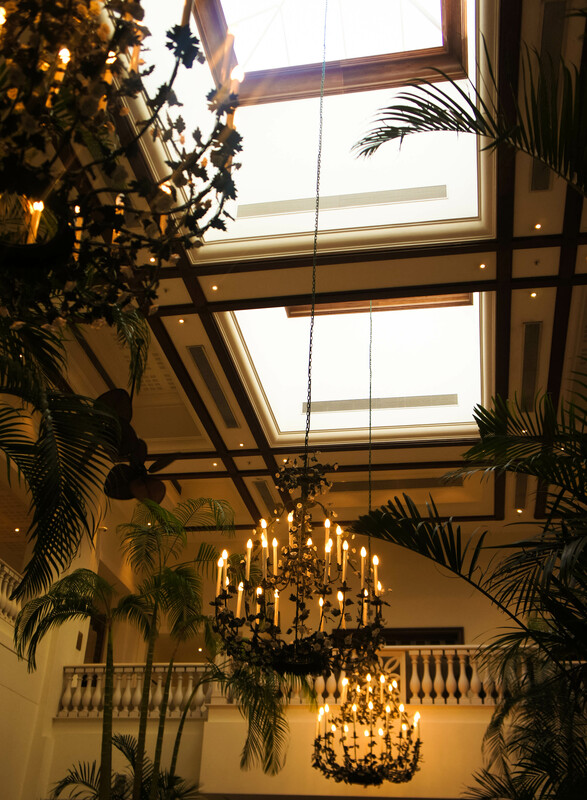 Standing as proud as the day it opened its doors in 1947, it remains a distinguished jewel in Durban’s crown, trailblazing the way by winning scores of prestigious awards and accolades from the likes of Condé Nast Traveller and World Luxury Spa. Speaking of crowns, it’s well known that the hotel was chosen by Monaco’s royals; Prince Albert II and his Princess Charlene, for a Royal reception party in 2011. 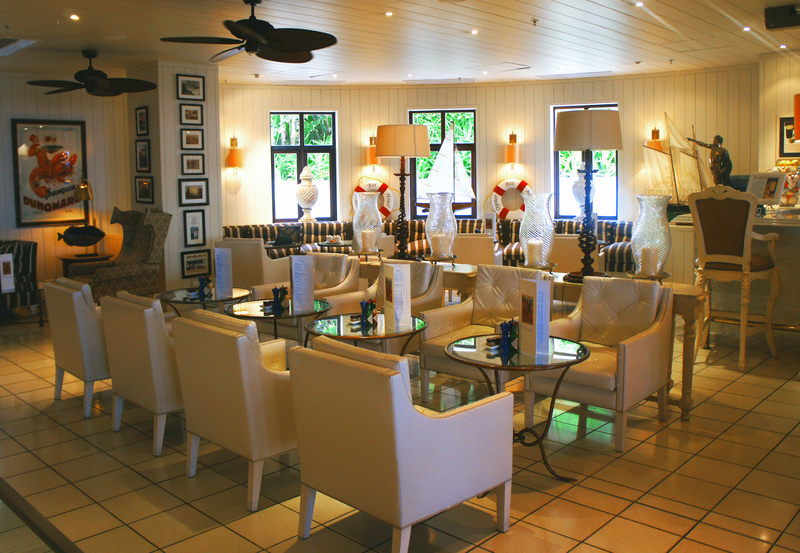 Since its R400 million makeover in 2009, the Oyster Box hotel has sought to create a handsome marriage of old and new by maintaining original antique furnishings and coupling these with modern touches and the latest technology. The presidential suite, encompassing two floors, with private patio pool, its own butler and personalized embroidered gowns, will set you back in excess of R50 000 per night. Certainly fit for a king! 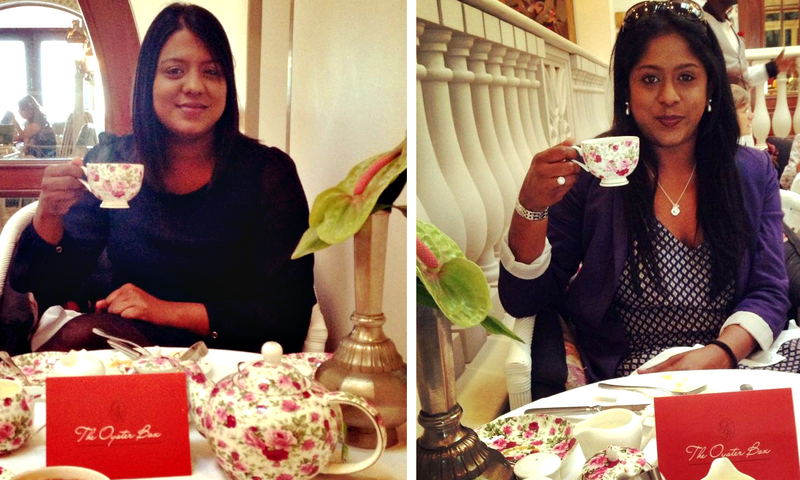 And so it happens, one fine Friday as the winter sun shines cheerfully over Durban, my sister Ronelle and I don our finest stockings and mother’s precious pearls, and head off for Afternoon Tea in the lap of colonial luxury. Being my first visit to the majestic hotel, I opt for a quick self-guided tour. Passing the stark white Grill Room, I head for the bar. Again, the combination of antique woods and tapestries mesh fluently with modern glass finishes. 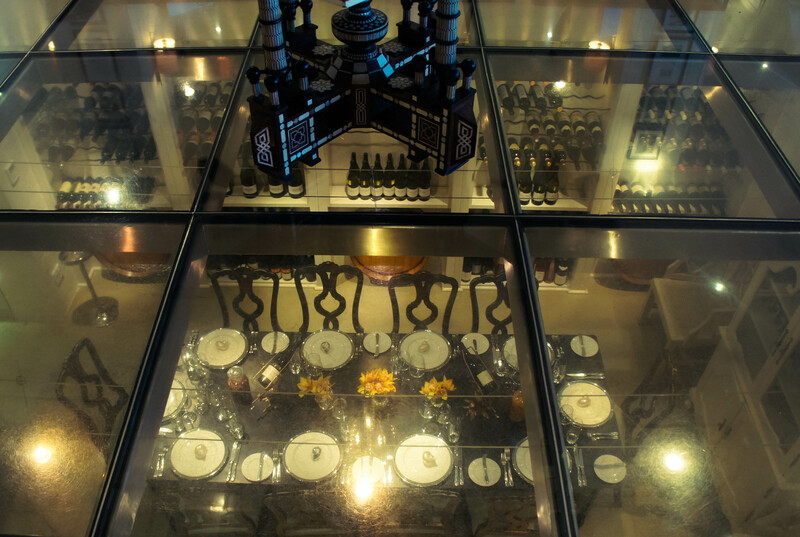 Inviting couches welcome us, and I love the glass floors providing a view of the dining areas beneath us. Finally, we make our way to the terrace which offers sweeping panoramic views of the famous lighthouse and the seemingly endless Indian Ocean. Afternoon Tea is enjoyed in the hotel’s Palm Court, illuminated by extravagant chandeliers purchased from London’s famed Savoy Hotel. 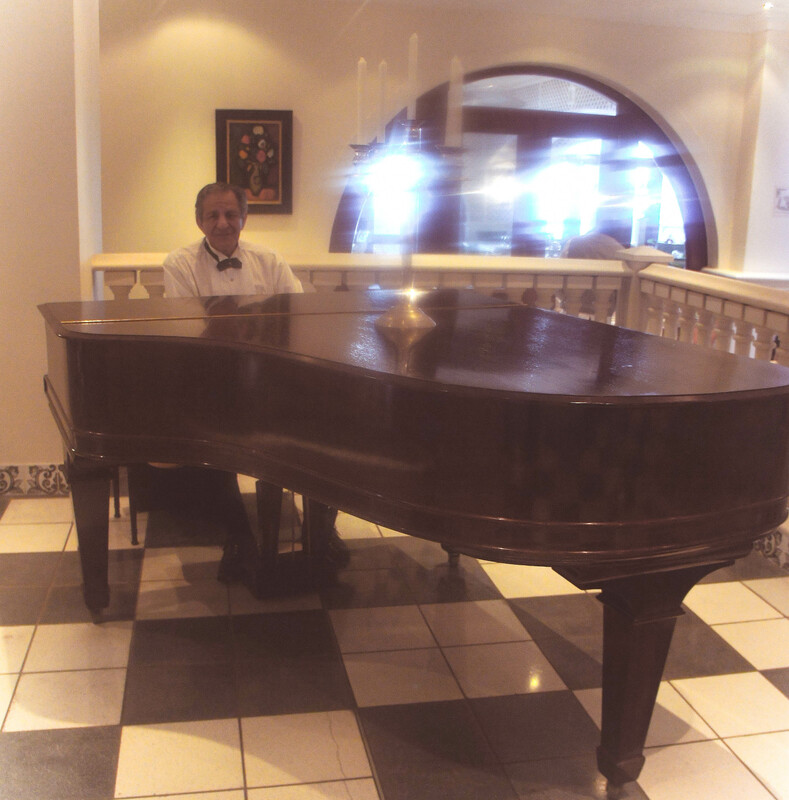 Surrounded on four corners by lush palm trees (which obviously lends to the name), guests are serenaded by the soft sounds of the live piano as the tea commences. 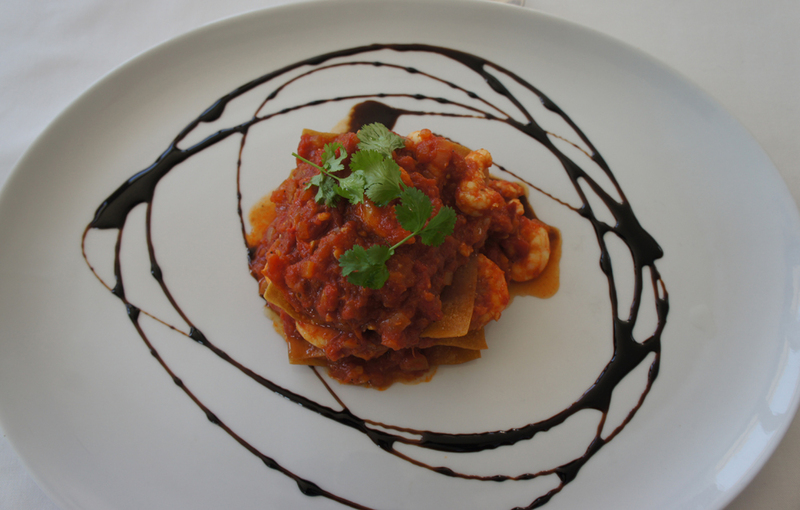 We are shown to our table, and our immaculately dressed waiter immediately materializes, enthusiastically welcoming us. 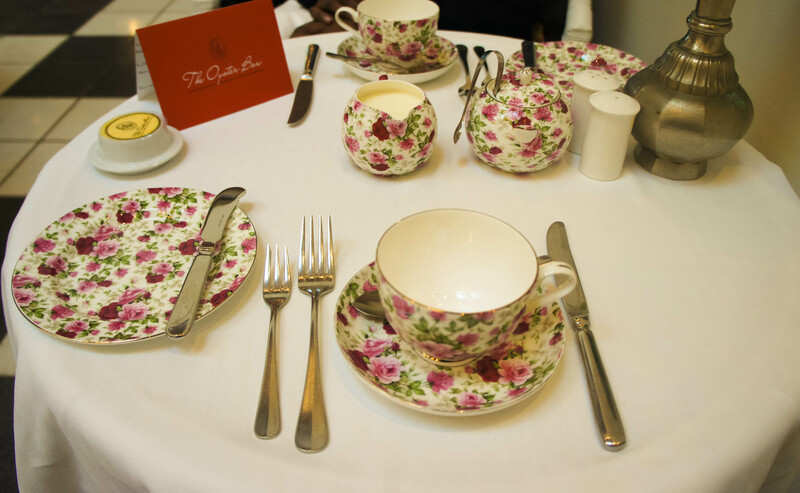 The table is laid with crisp linens and a charming English-garden tea set. A personalized, handwritten welcome card is a tiny detail with big impact. We order our respective cuppas (Earl Grey for me, and coffee (!) for my sister). 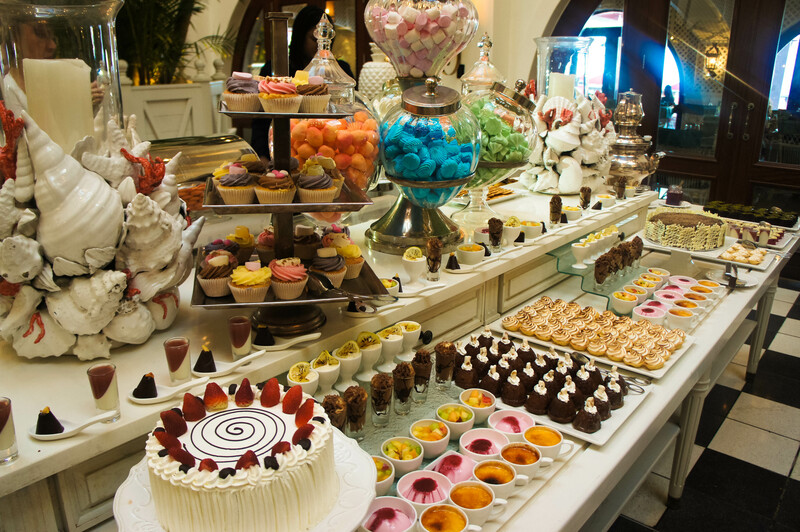 The self-service table gracing the center of the Palm court is heavy laden with mouthwatering treats. I head over to the savories section where I sample the cucumber and cream cheese finger sandwiches. Mini pastries are topped with smoked salmon and dill, whilst the vegetarian options include cheese tarts and mini mushroom pies. 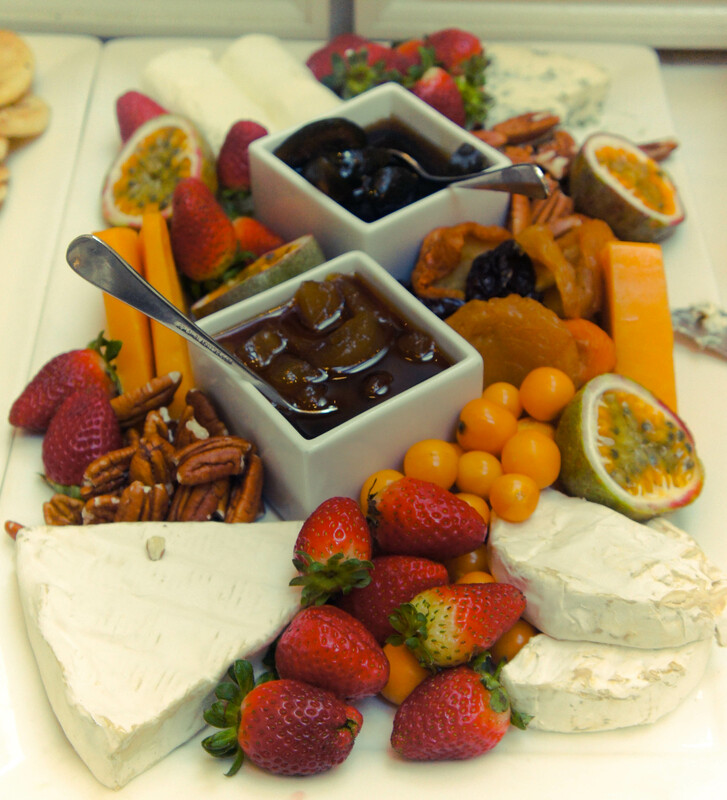 An adequate cheese platter with fig and apricot conserve is surrounded by an assortment of crackers, fruit and nuts. 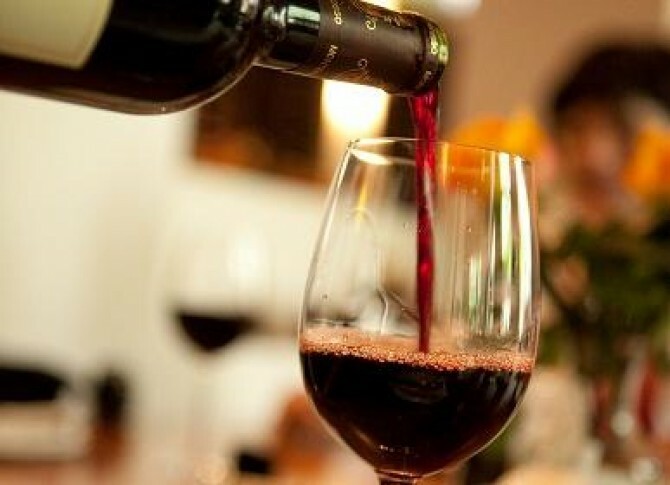 We chat leisurely, relaxed – there isn’t a care in the world. Our attentive waiter is ever present, but not intrusive, offering to refill our drinks or replace used cutlery. We strike up animated conversation with guests at the next table. An actual Englishman (and woman) enjoying the age-old English tradition of afternoon tea! Then it’s on to the sweet treats! 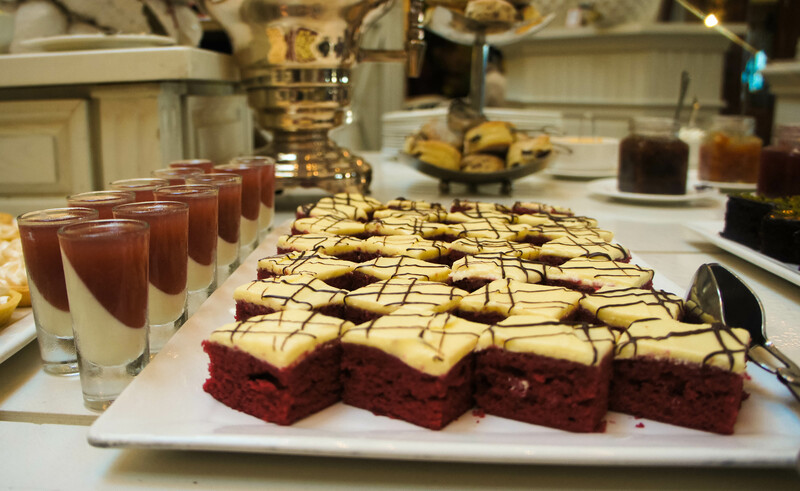 Unsure of which mouthwatering delicacy to try first, I settle for red velvet squares with lemon butter icing. 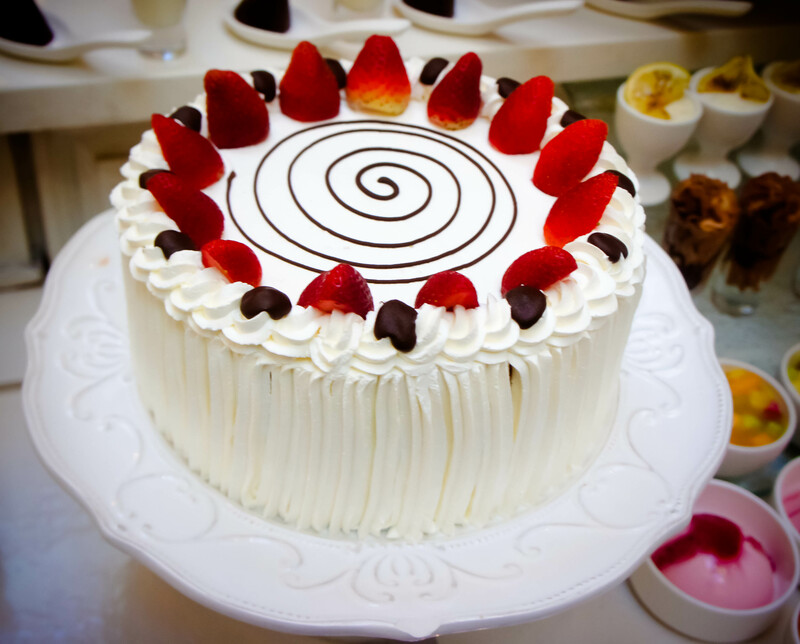 One word: delicious! There are individual crème brûlées and chocolate mousses in decorative glasses. There are cannelés topped with chunks of nougat. There is an assortment of cupcakes, each piled high with frosting. Carrot cake, chocolate ganache, lemon meringue and brownies with pistachio topping…even the most ferocious appetite is satisfied. The table’s eye-catching centerpiece is a giant, multifaceted candy jar! My absolute favorite: the scone selection. With a hint of gooseberry jam and lashings of clotted cream, I can’t ask for more! It’s at this point that I find I have to switch my tea selection to a sweeter vanilla blend, as my Earl Grey becomes washed out by the sugar overload. 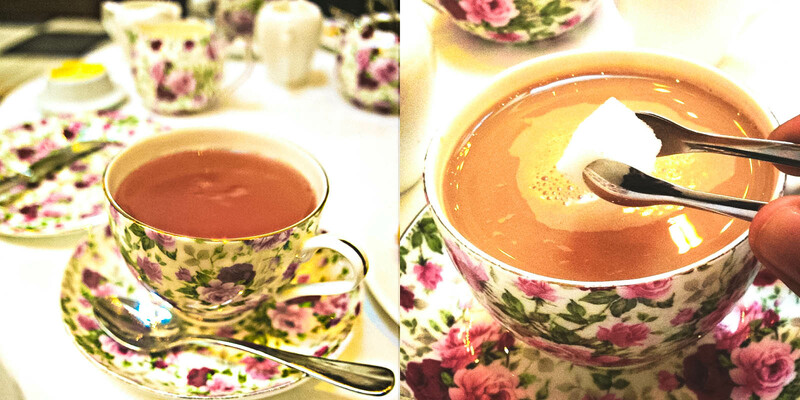 Our waiter is back with a new, piping hot teapot in no time. Just then the piano player strikes up the chords of “Happy Birthday to You”. The waiters bring out a special cake complete with sparklers and we all join in singing the popular chorus to the unknown patron. We end our tea with heartfelt goodbyes to our new English friends, and many thanks to our superb waiter. 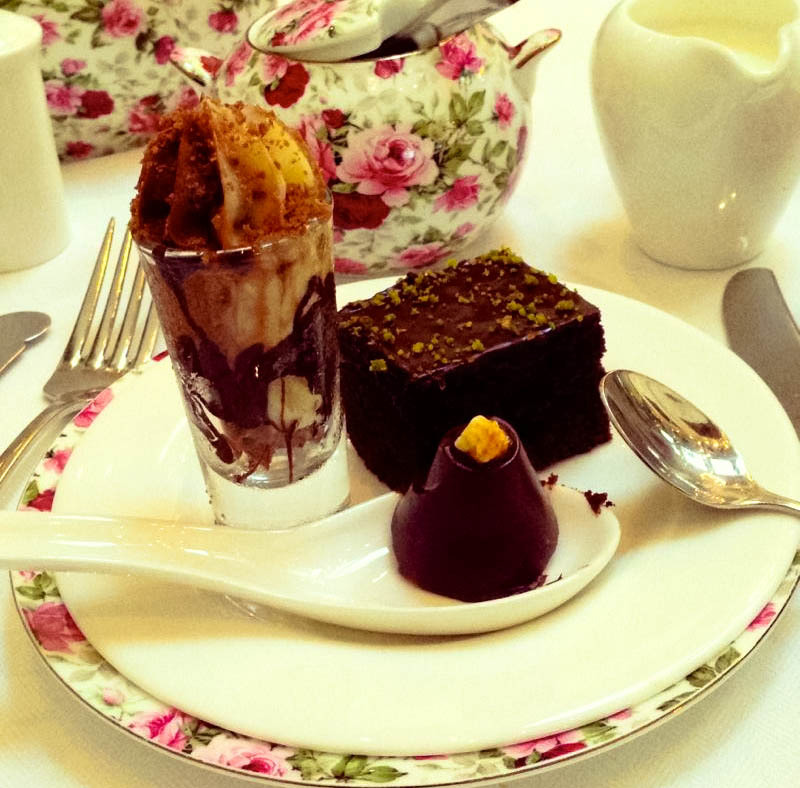 Would I consider going back to partake in the elegant tradition of afternoon tea once more?